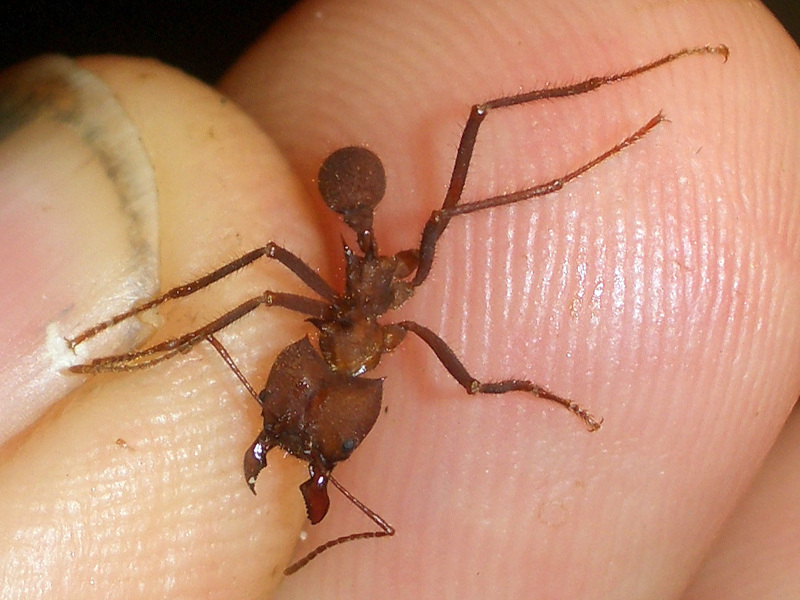 A very interesting Acromyrmex species from Central-American highlands. 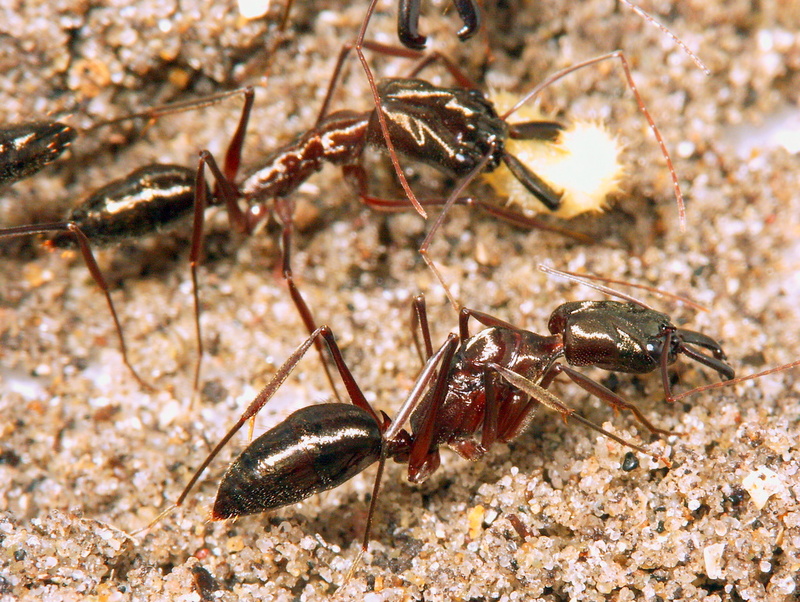 Acromyrmex cf. coronatus was added to the shopping cart. 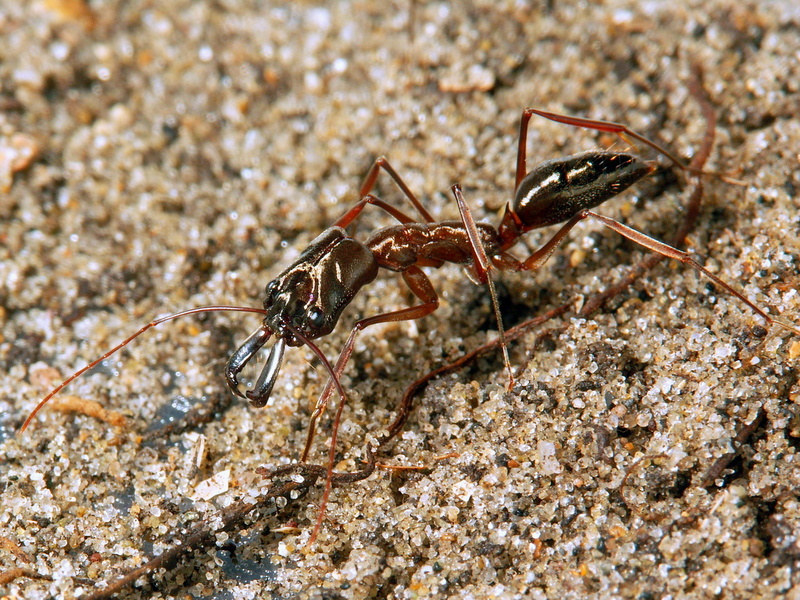 Acromyrmex cf. coronatus could not be added to the shopping cart. 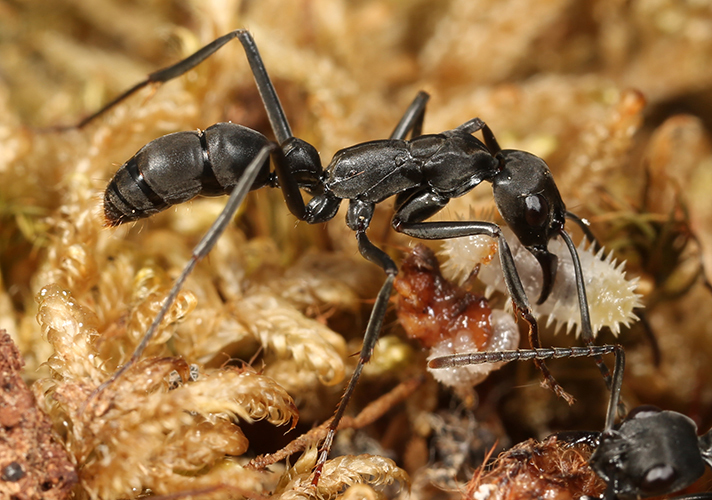 A very robust Acromyrmex species wich don't need much space. 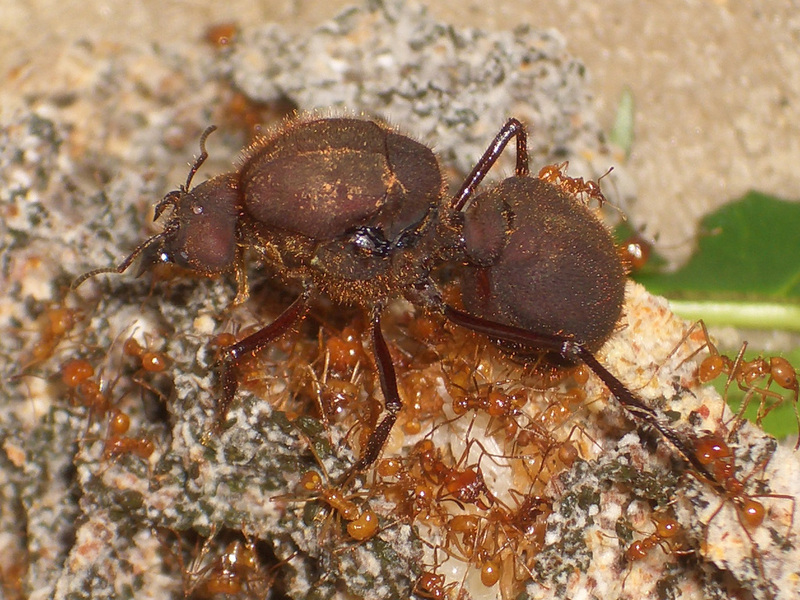 This species is smaller than Acromyrmex octospinosus and colored chocolate brown. 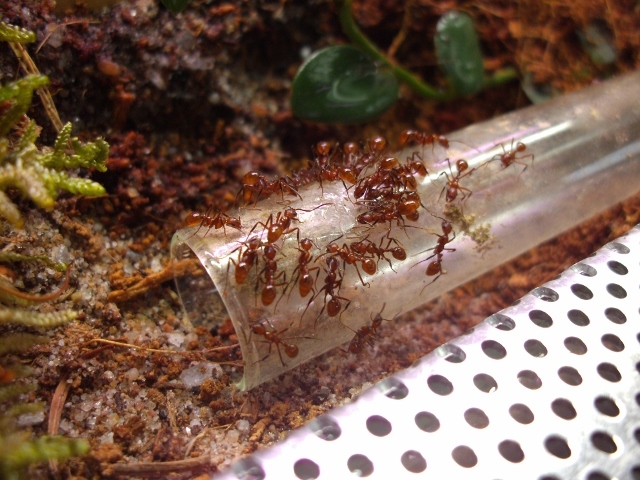 Larger colonies can be kept in multiple basins which are connected together with pipes. They cut various kind of leaves e.g. bramble-, raspberry-, oaks-,roseleaves, privet etc. They cultivate a fungus garden which they do dung, trim and "medicate" with a hormone they produce in special adenoids. They will pulpify the leaves and apply it on the fungus. 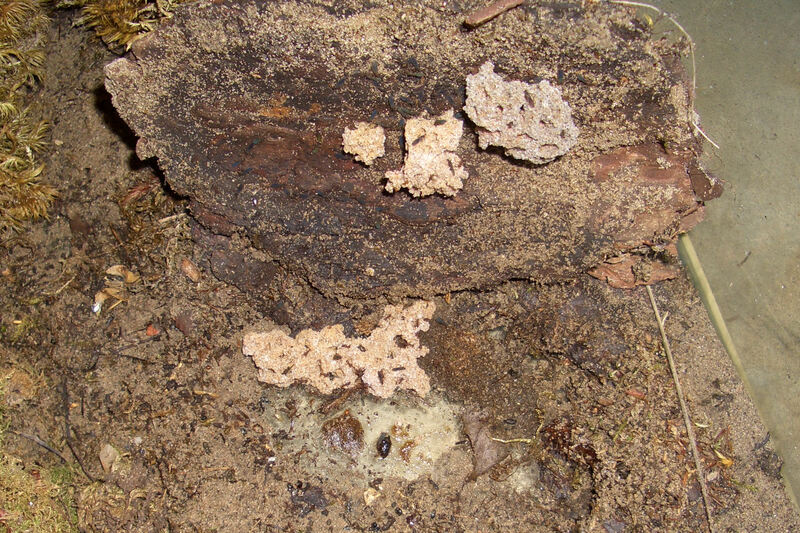 Old pieces of fungus will be removed and thrown to special midden. They will almost only subsist on special "bulbs" that they can harvest from fungus. 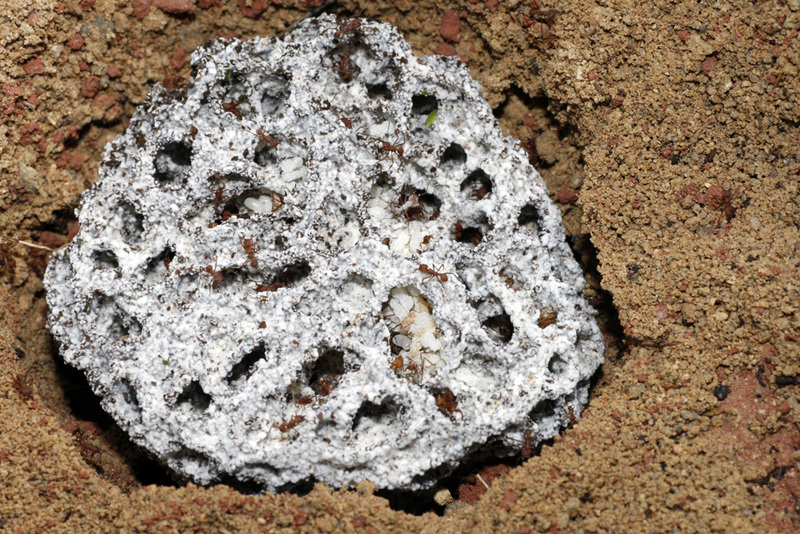 This offered Acromyrmex are young colonies, no queens from existing colonies. 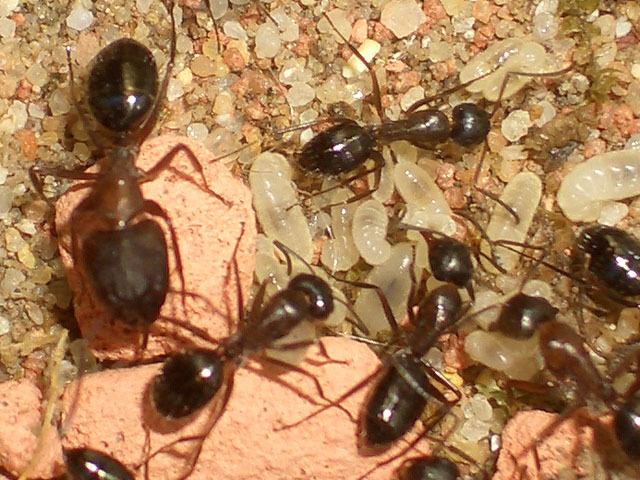 Note: We guarantee that all queens in these young colonies are mated. Attention: Shipping to abroad is only possible on customers risk i.e. no replacement possible on dead arrival. 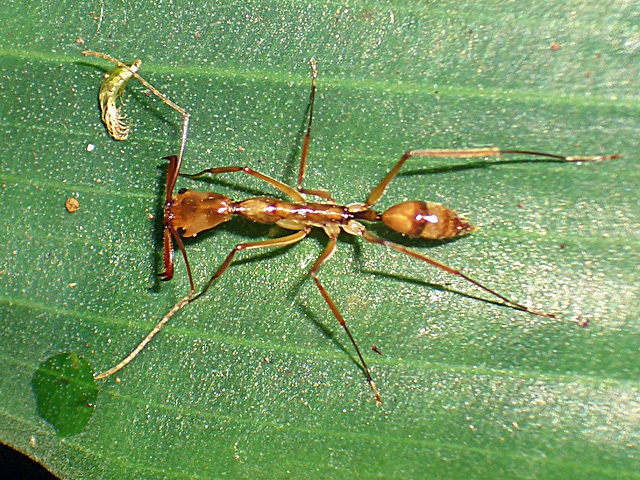 Acromyrmex cf. crassispinus was added to the shopping cart. 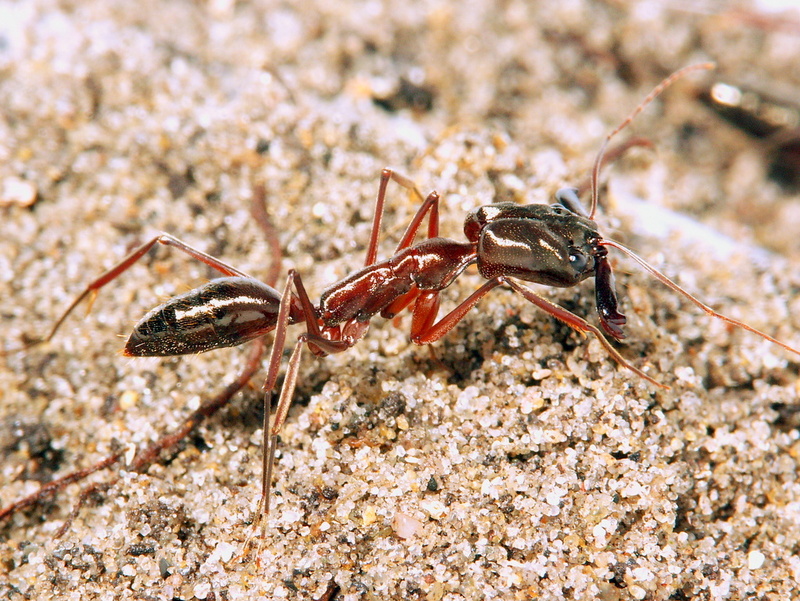 Acromyrmex cf. crassispinus could not be added to the shopping cart. 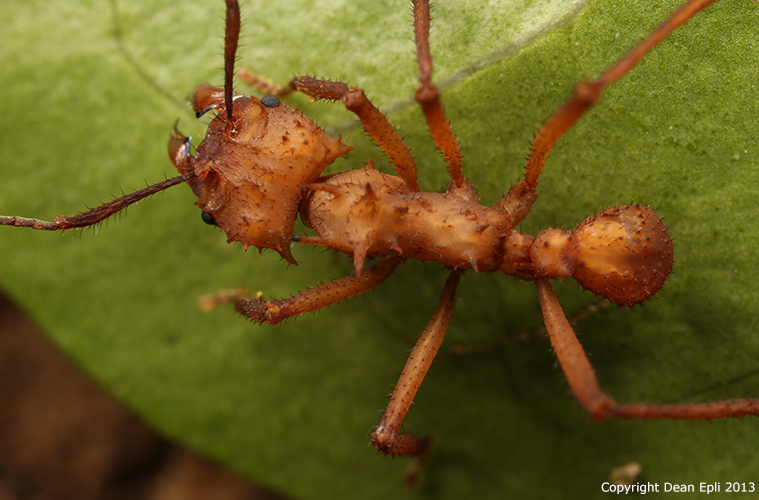 A particularly interesting colored Acromyrmex species from Central America. Nutrition: fungi which the ants cultivate of bramble-, raspberry-, oaks-or rose petals breed, but nibble and also like an apple. This Acromyrmex sp. prefer chickweed, clover and rose petals for their fungus. Acromyrmex sp. was added to the shopping cart. Acromyrmex sp. could not be added to the shopping cart. Acromyrmex sp. "Paraguay" was added to the shopping cart. 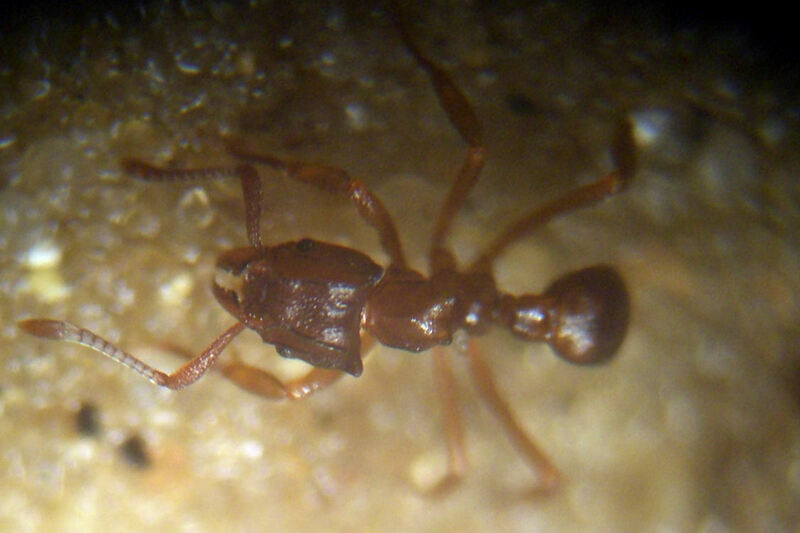 Acromyrmex sp. "Paraguay" could not be added to the shopping cart. Fungus cultivating ants species, cutting leafs which process to pulp is the basis of their fungus cultivation. 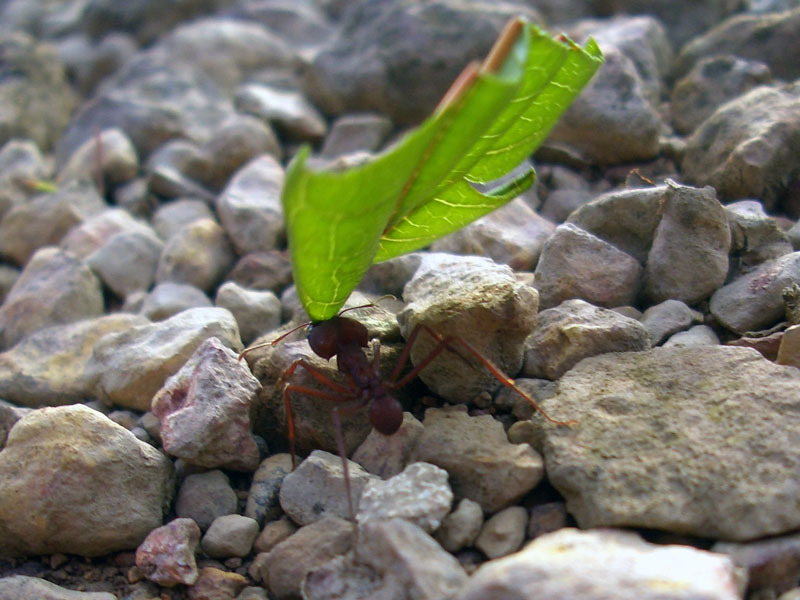 Specifics: fungus cultivating ant-specie, cutting leafs which process to pulp is the basis of their fungus cultivation. 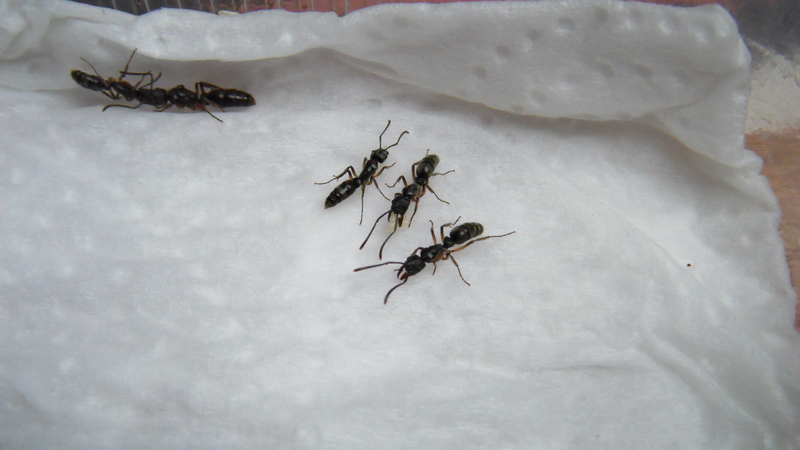 Atta cephalotes was added to the shopping cart. 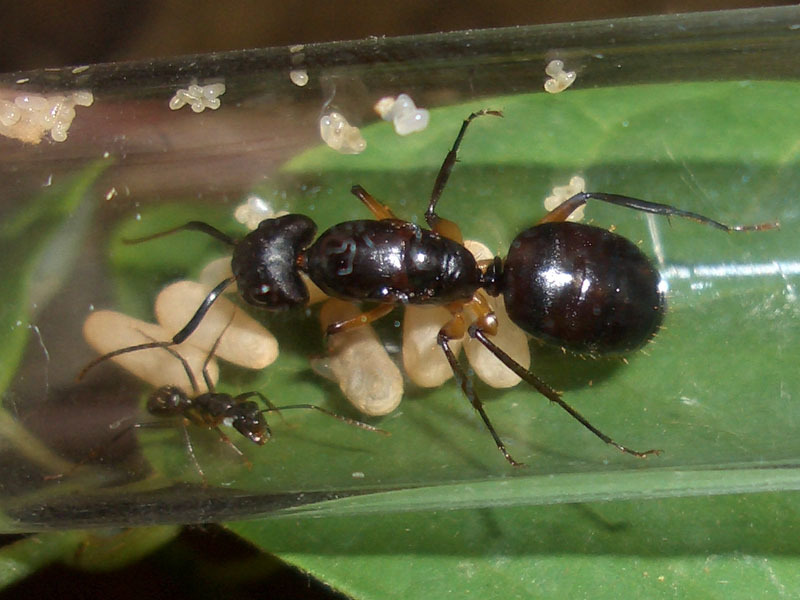 Atta cephalotes could not be added to the shopping cart. Attention: Shipping to abroad is only possible on customers risk i.e. no replacement possible on dead arrival. Only few colonies are available from one's own breeding. Atta mexicana was added to the shopping cart. Atta mexicana could not be added to the shopping cart. Atta sexdens was added to the shopping cart. Atta sexdens could not be added to the shopping cart. 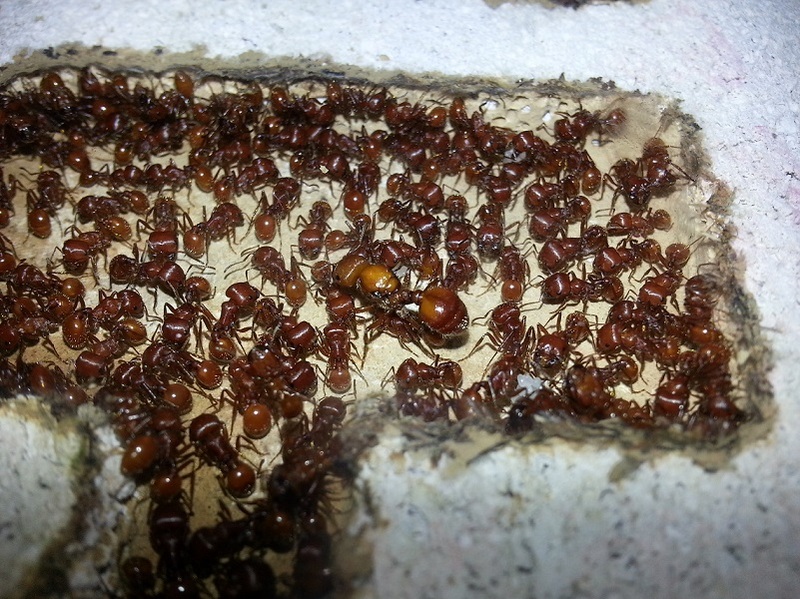 Large colony with approx. 50 - 60 litres fungus and several thousand workers.No shipping, pickup only! Fungus cultivating ants species, cutting leafs which process to pulp is the basis of their fungus cultivation. This species is a notably large Atta. 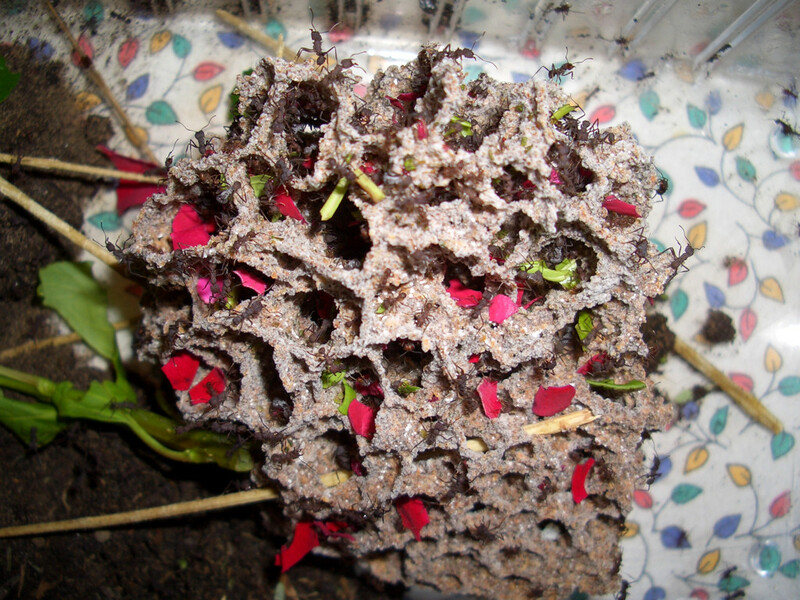 Specifics: fungus cultivating ant-specie, cutting leafs which process to pulp is the basis of their fungus cultivation.. 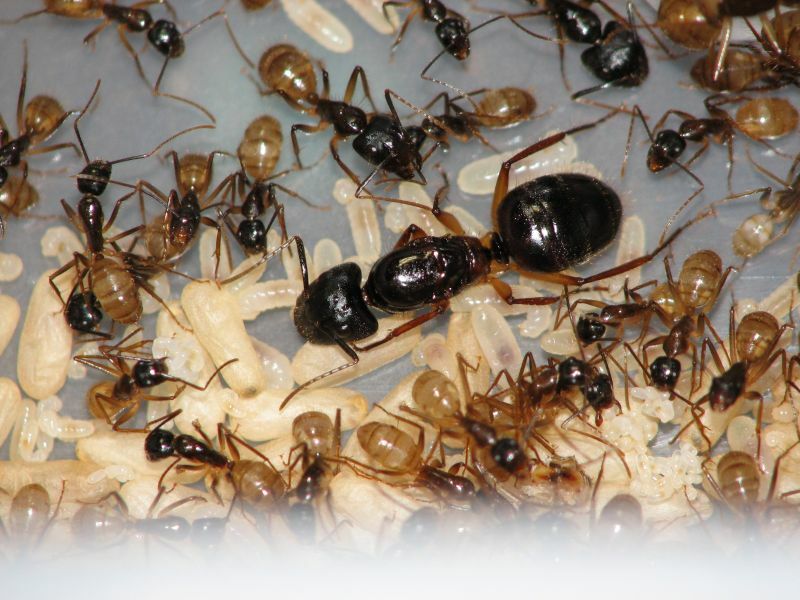 Attention: Breeding from a Queen is very difficult even with fungus and mated Queen. Only for advanced keepers! 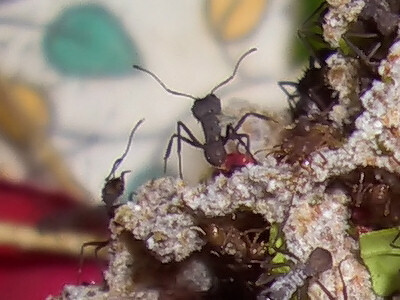 Atta sp. "South America" was added to the shopping cart. 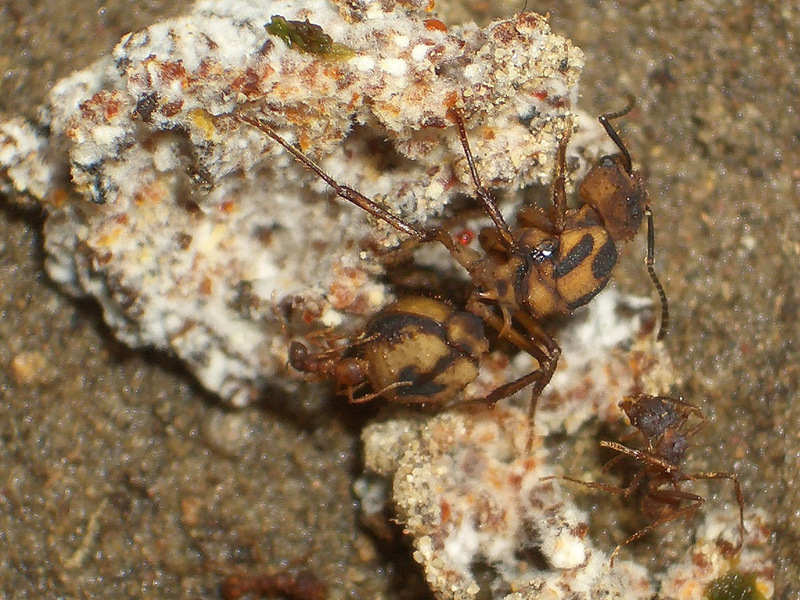 Atta sp. "South America" could not be added to the shopping cart. This is a very beautiful colored and easy to keep Campnotus species from South American rain forest. Camponotus cf. atriceps was added to the shopping cart. Camponotus cf. atriceps could not be added to the shopping cart. 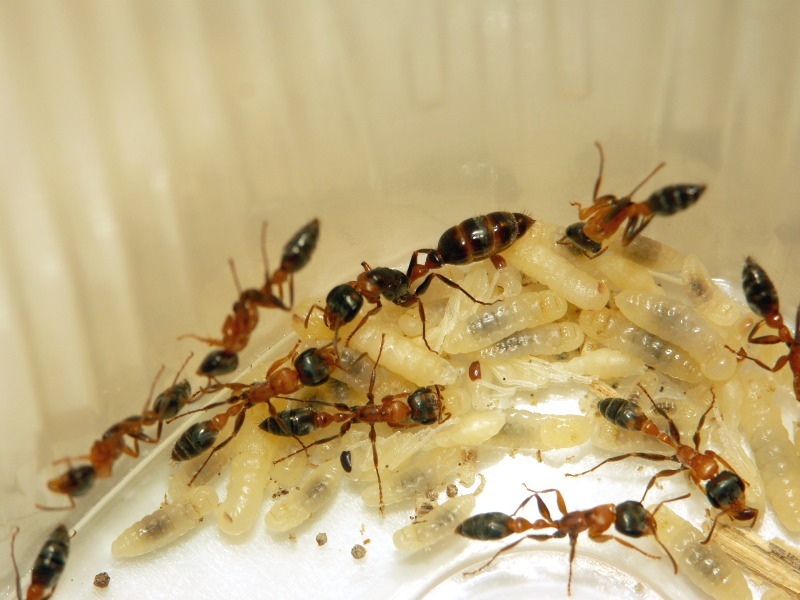 An Camponotus species that is easy to keep and that breeds very fast and easy. Camponotus cf. renggeri was added to the shopping cart. Camponotus cf. renggeri could not be added to the shopping cart. 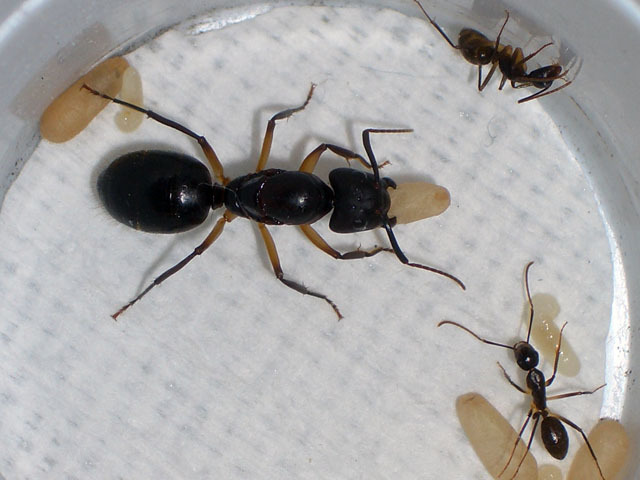 Camponotus punctulatus was added to the shopping cart. 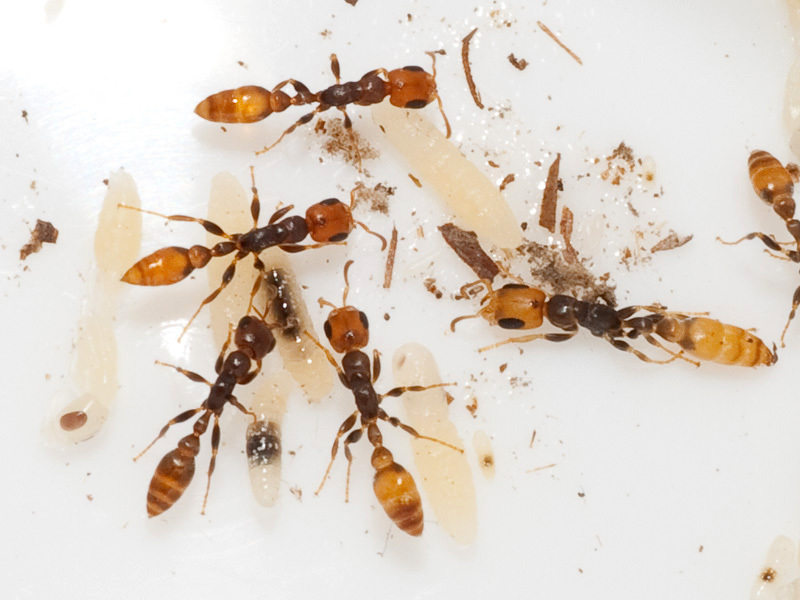 Camponotus punctulatus could not be added to the shopping cart. 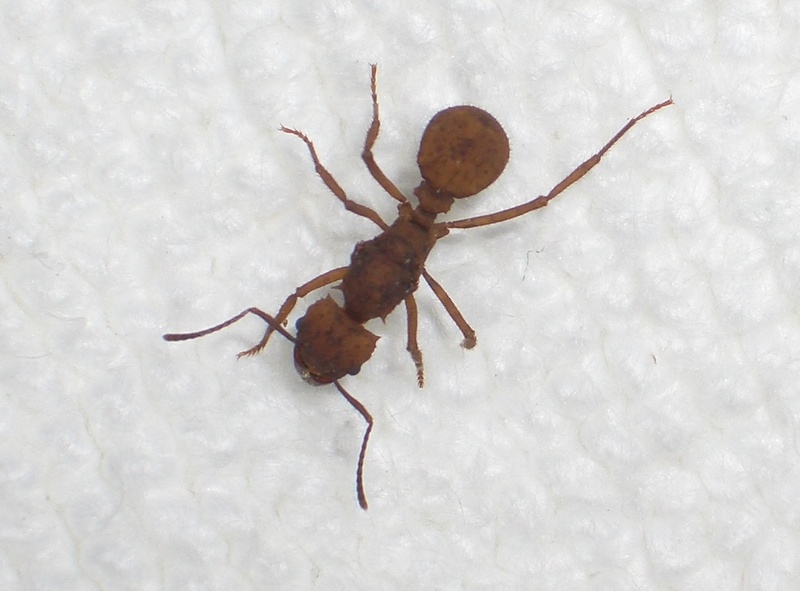 Small until medium sized Formicinae that looks a bit similar to our forest ants (Formica). 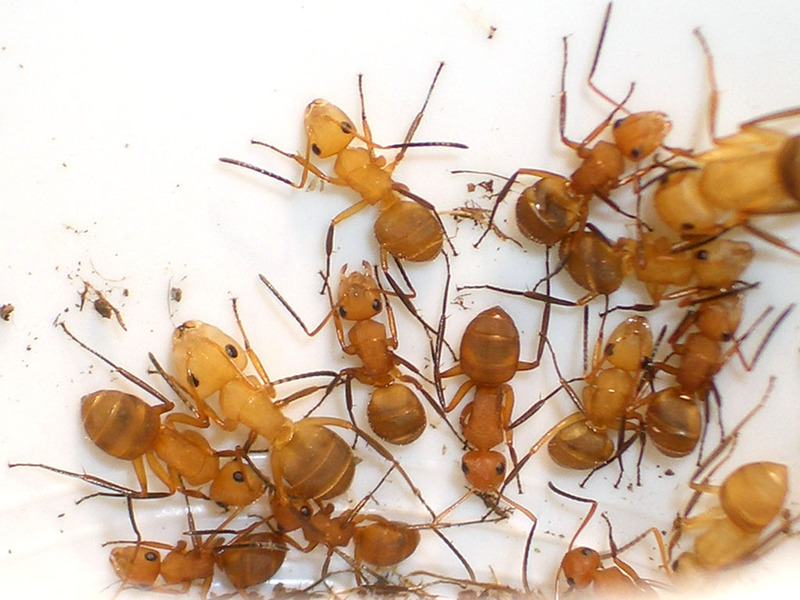 They are not very aggressive, and can be kept together with other ants in one communal basin. It is an imposingly ants species that like light terrariums. Camponotus sp. "South America" was added to the shopping cart. Camponotus sp. "South America" could not be added to the shopping cart. This is a very beautiful colored Campnotus species from South American rain forest. Specifics: This species don't need much space and can be kept with other species in one bassin because it isn't an aggressive species. 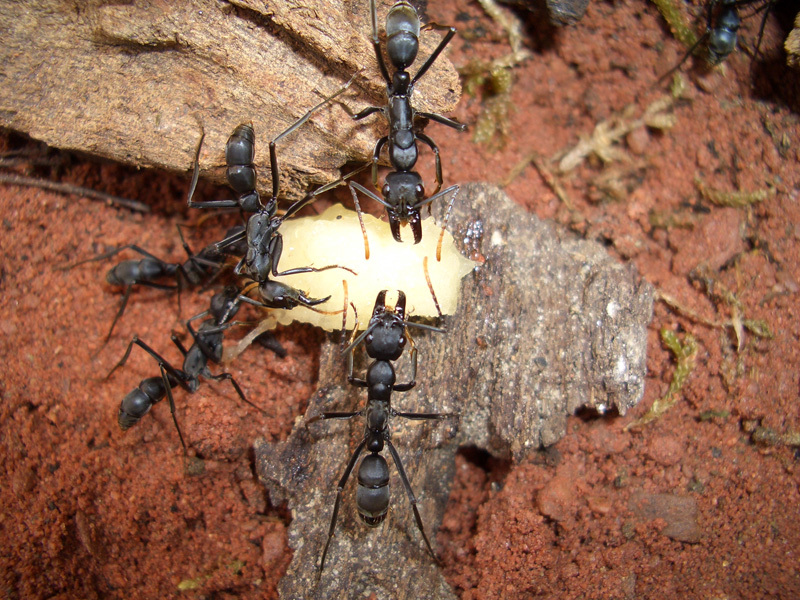 Camponotus sp. "orange" was added to the shopping cart. Camponotus sp. "orange" could not be added to the shopping cart. 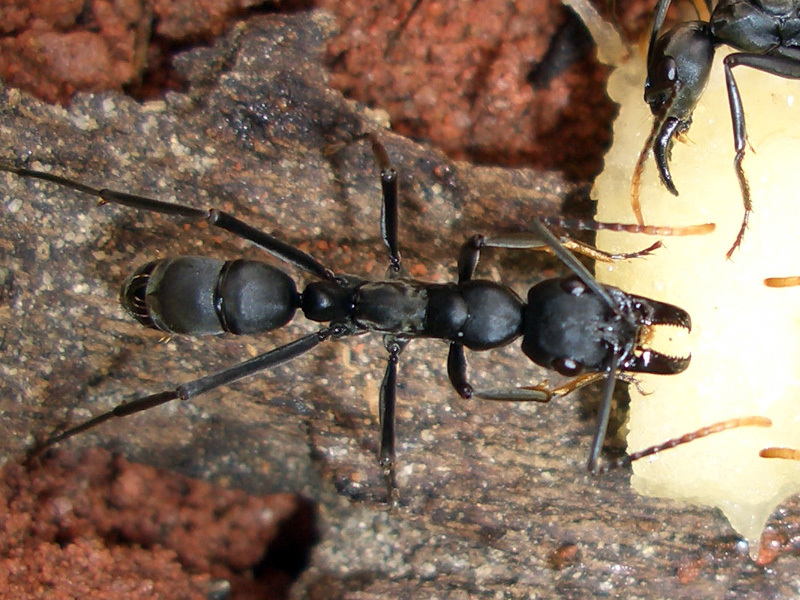 A ground-dwelling Camponotus, which stands out with a shimmery black color. She lives in Erdnestern and developed large colonies. 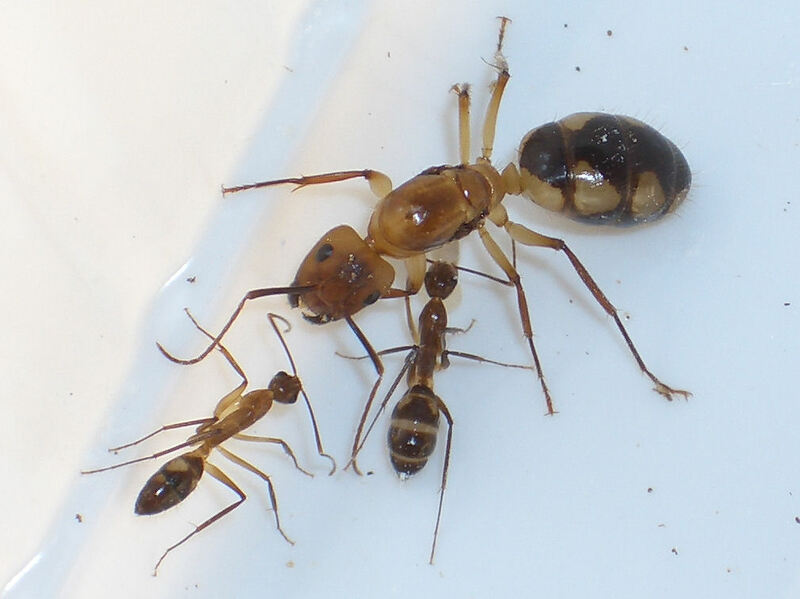 Camponotus spec was added to the shopping cart. Camponotus spec could not be added to the shopping cart. 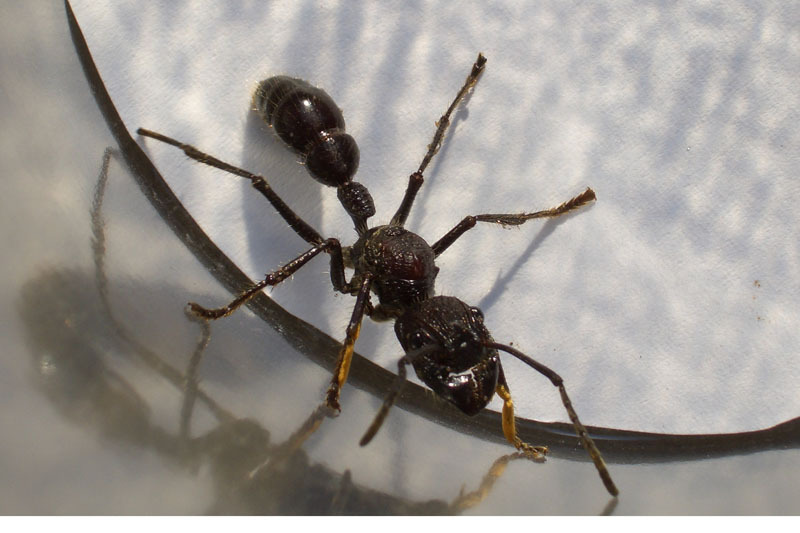 Aggressive Camponotus species from South America. Uses it's chemical weapon (formic acid) fast. 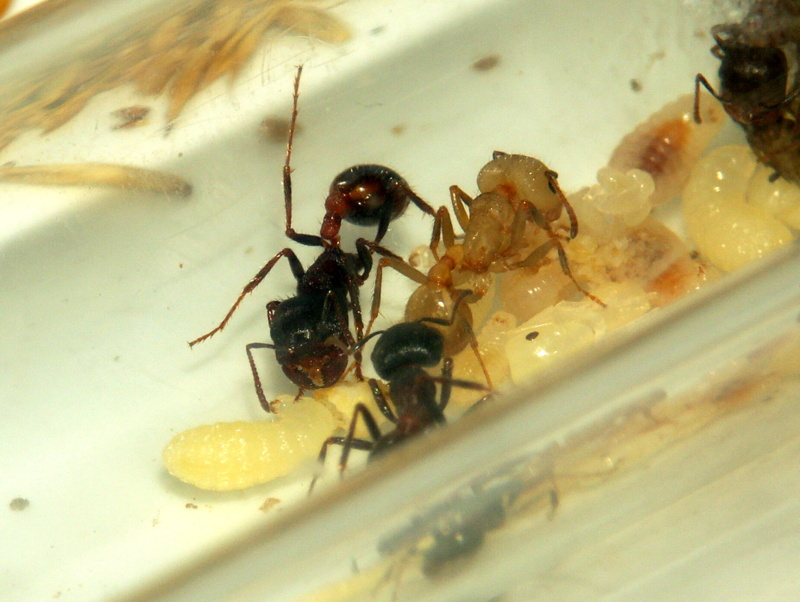 Camponotus substitutus was added to the shopping cart. Camponotus substitutus could not be added to the shopping cart. 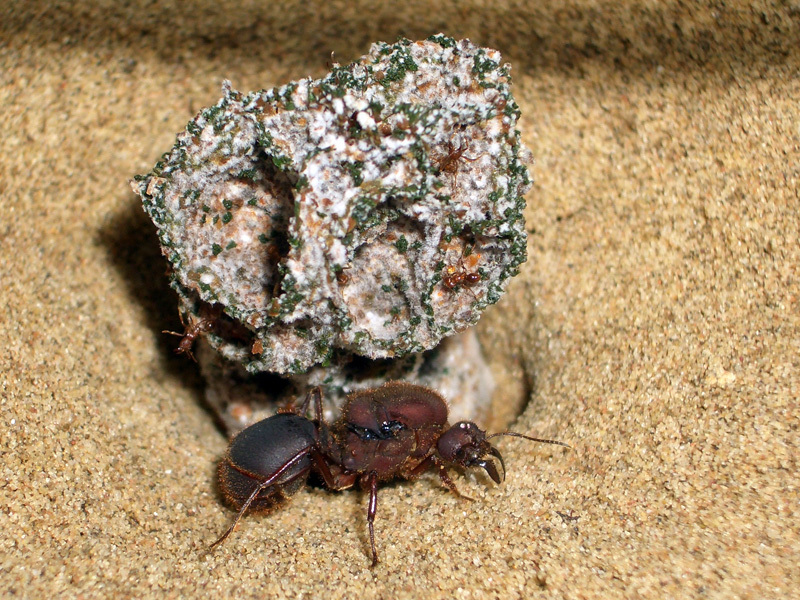 Very individual shaped Myrmicinae which can close their nest entries with their head similar like Camponotus truncatus. 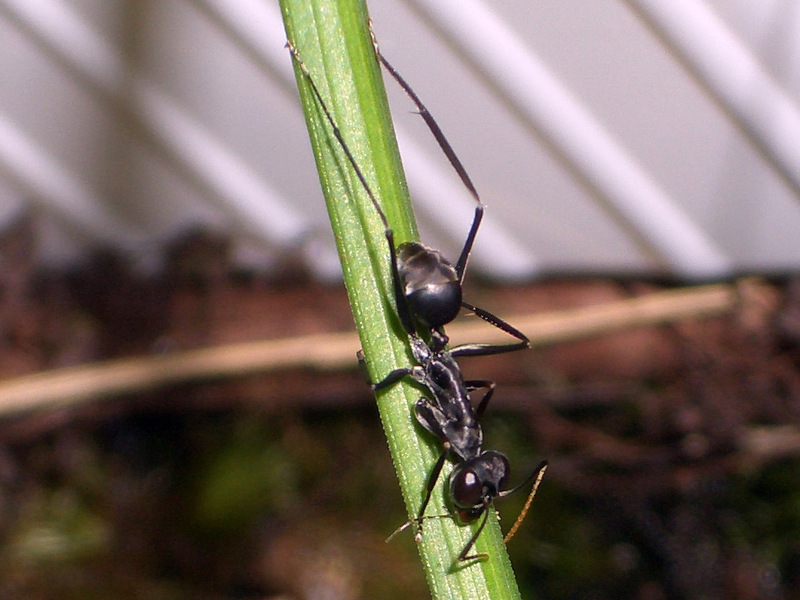 This species is ideal for keeping in a community basin (basin with different ants species) because they don't attack other species. They even can't be attacked by other species because of their individual shape. In danger they duck down like a turtle on to the ground and even their antennas can be hidden in special notch on the head. 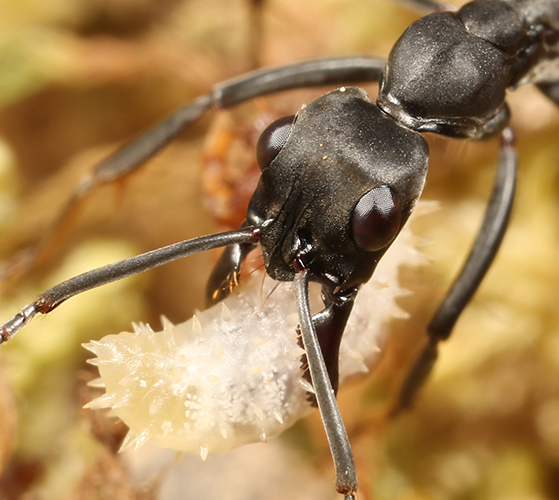 In addition Cephalotes have a very good sight and reacts very fast on movements in their environment. 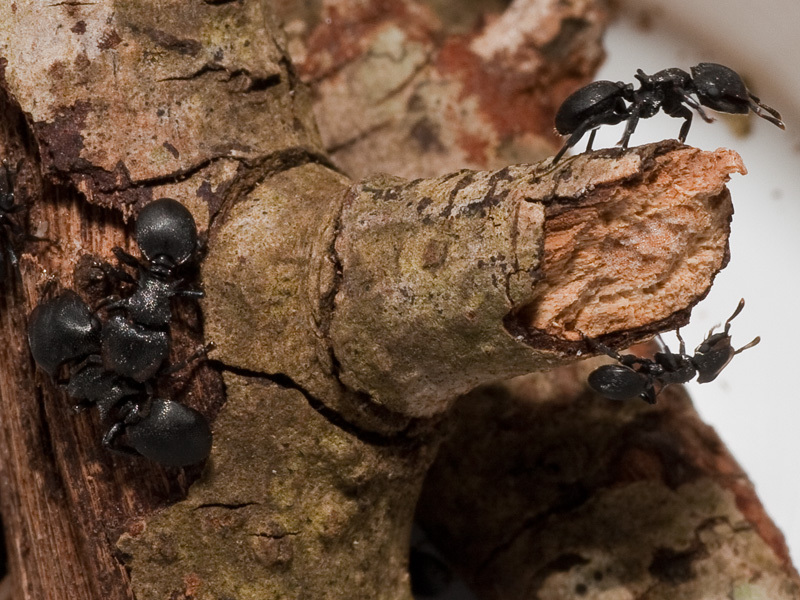 Some Cephalotes species can control their flight direction during free fall with the purpose to land on their nest tree. Important keeping notice: The nest branches have got to be able to dry off permanently. A good air circulation is essential. 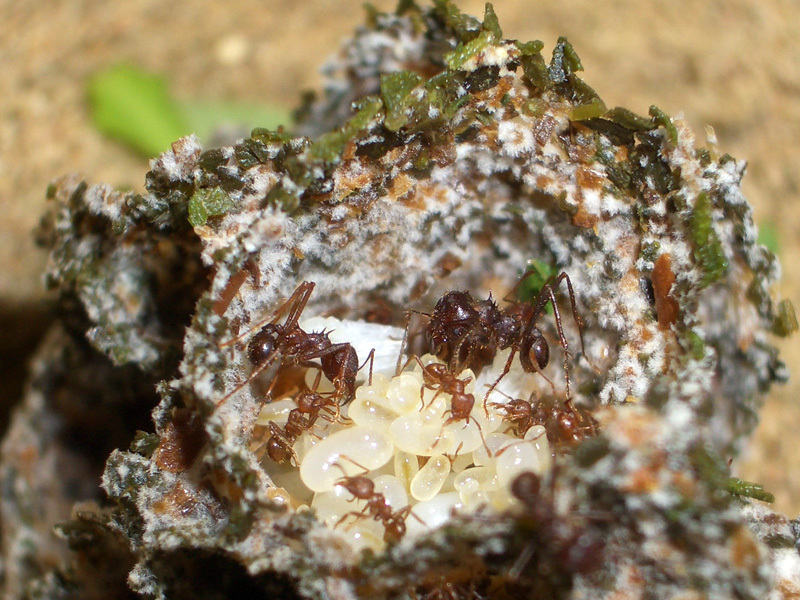 Mould growth in nesting area can kill the ants in the long-term. 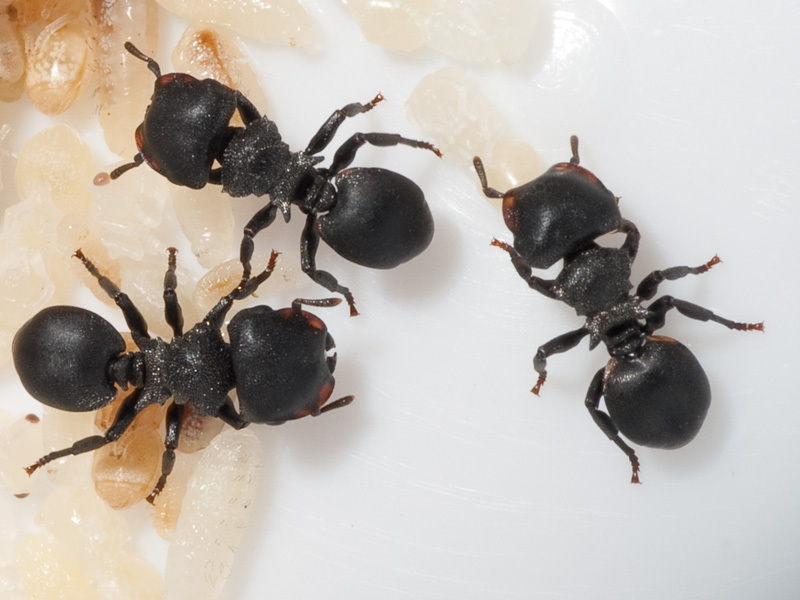 Cephalotes (Cryptocerus) cf. pusillus was added to the shopping cart. Cephalotes (Cryptocerus) cf. pusillus could not be added to the shopping cart. 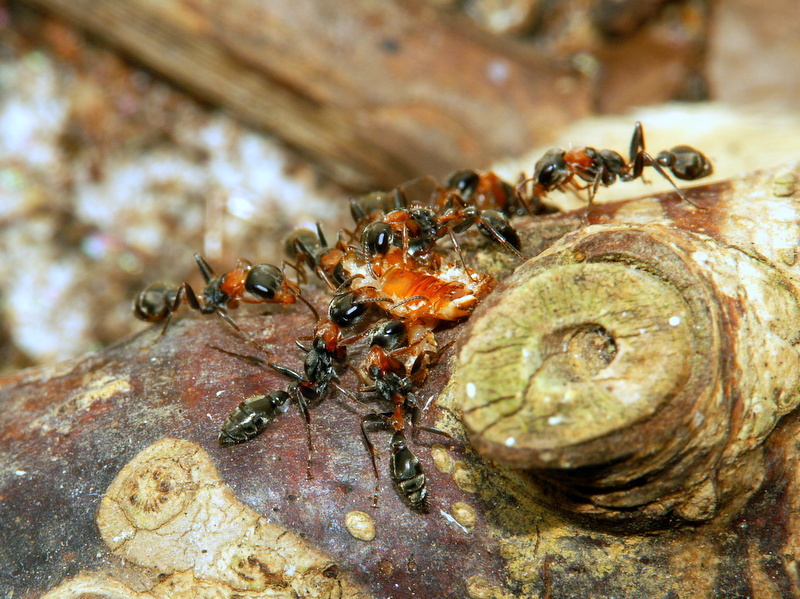 Crematogaster limata parabiotica, Camponotus femoratus (Ants garden) was added to the shopping cart. 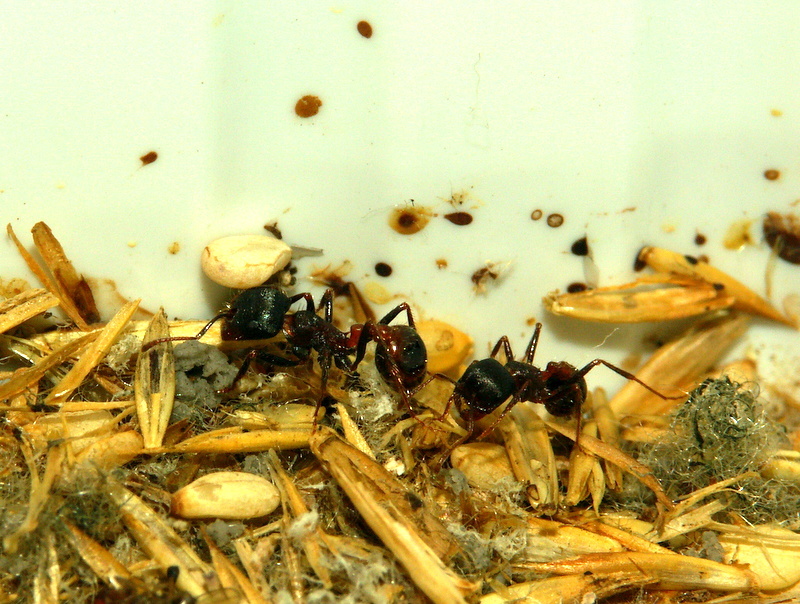 Crematogaster limata parabiotica, Camponotus femoratus (Ants garden) could not be added to the shopping cart. 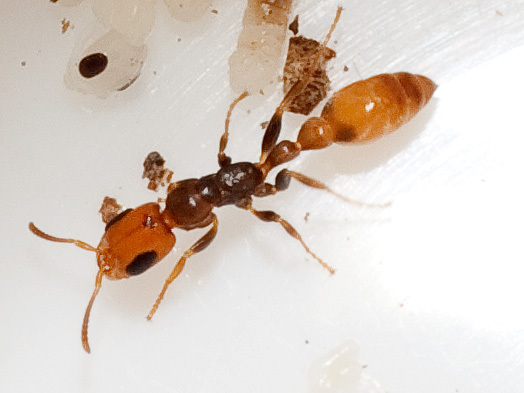 Crematogaster spec. was added to the shopping cart. 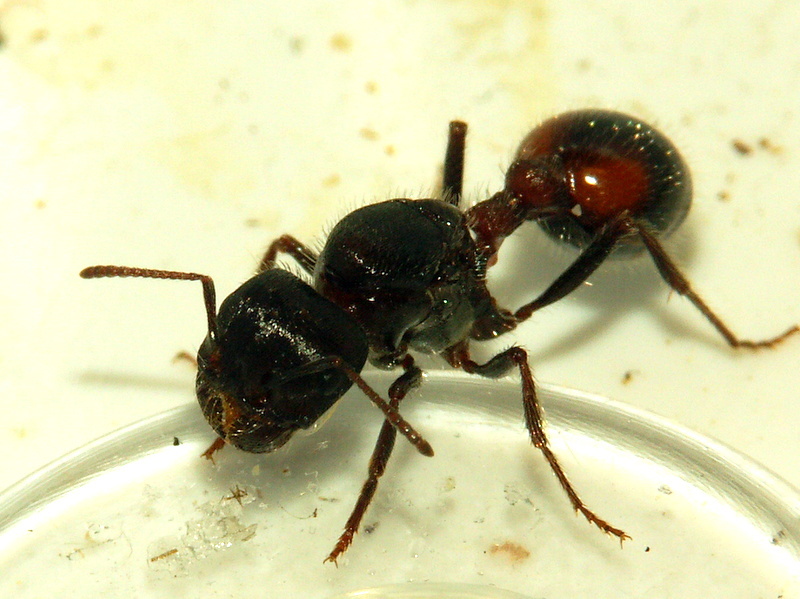 Crematogaster spec. could not be added to the shopping cart. 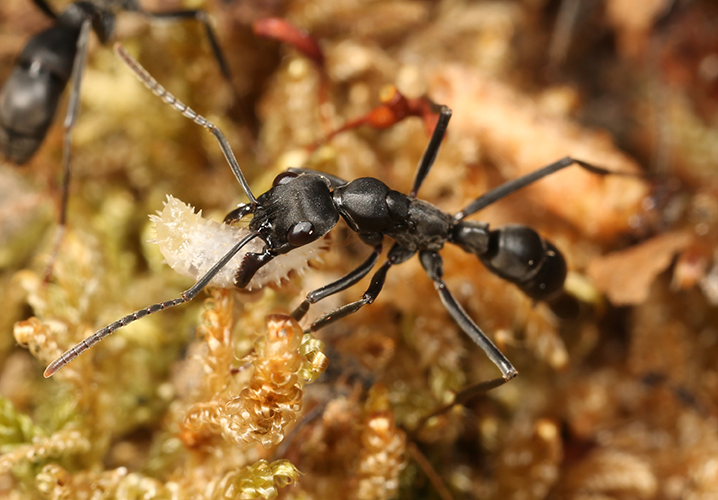 Fungi breeding myrmicinae from south America. Cultivates the fungus of insect feces/corpus, pieces of fruits. It's very appropriated to combine them in one basin with other ant species. 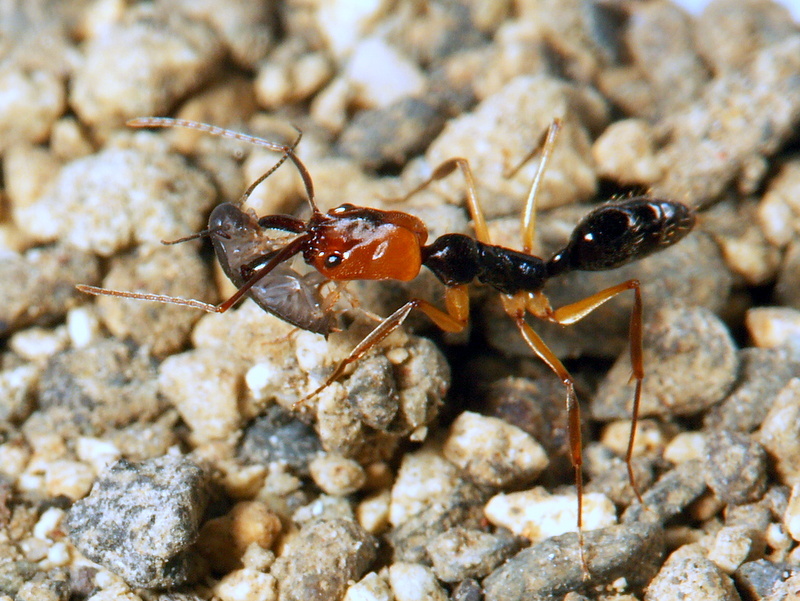 Also aggressive ant species are almost innocuous to them because they seems to have an daunting substance. They don't cut leaves. 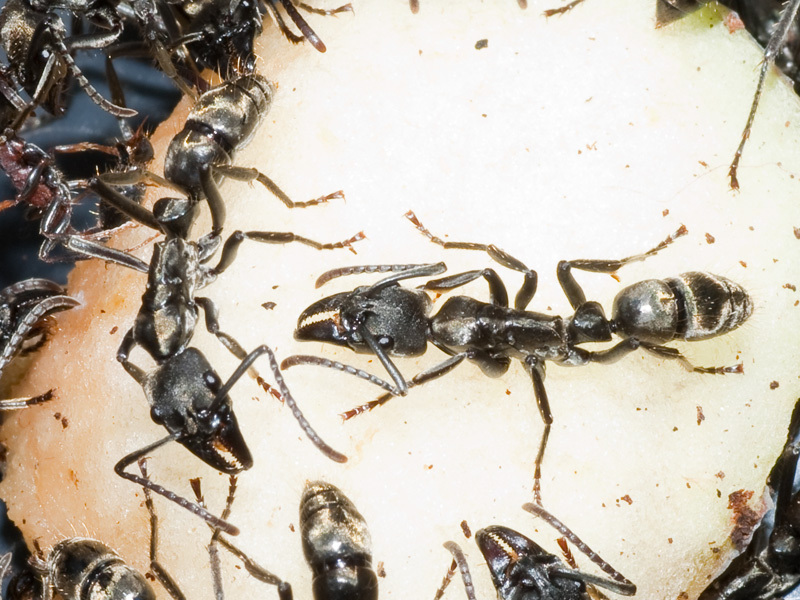 Nutrition: fungi which the ants cultivate of pieces of fruits and insect feces/corpus. Cyphomyrmex sp. was added to the shopping cart. Cyphomyrmex sp. could not be added to the shopping cart. 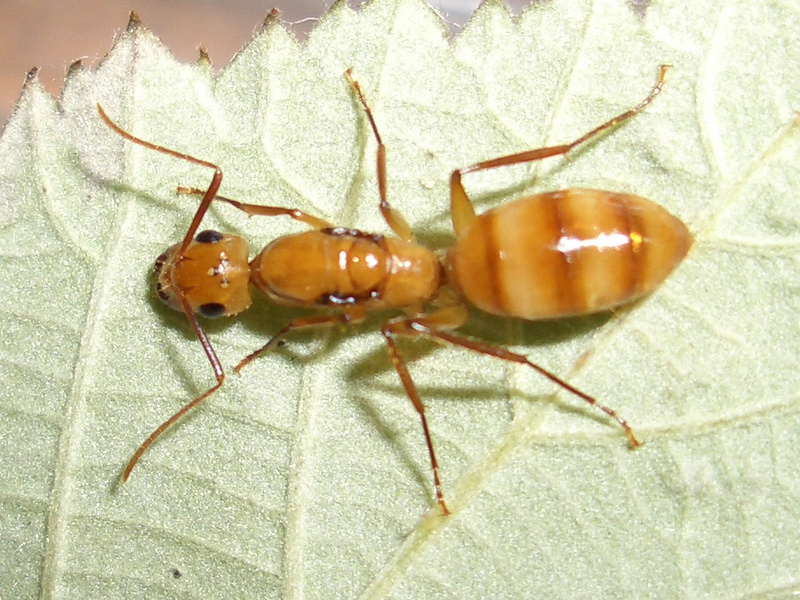 Dolichoderus cf. attelaboides was added to the shopping cart. Dolichoderus cf. attelaboides could not be added to the shopping cart. 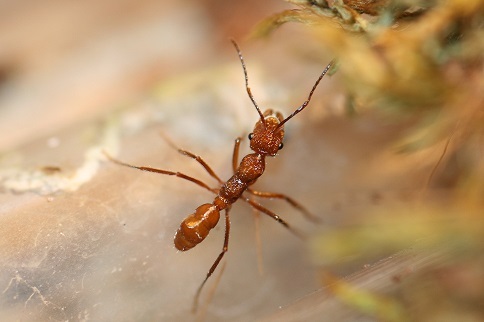 This ant has beautiful copper red color. 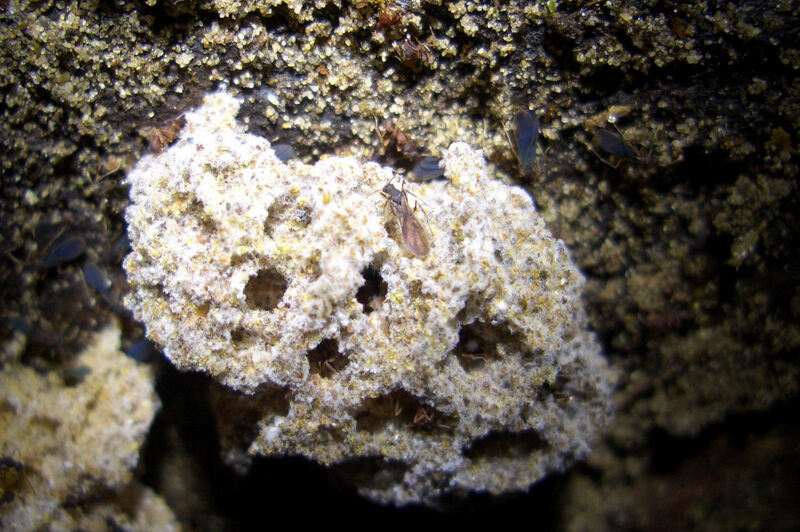 They form medium large colonies and build soil nests. These are always on the trunk of a small tree. 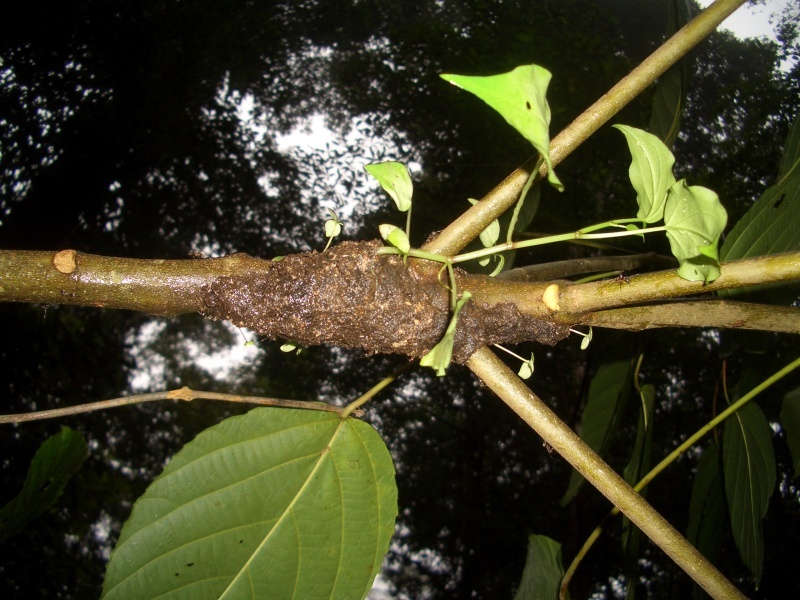 Interestingly, the nest entrance is extended by plant material on the trunk. For large colonies of this inlet house may well be 100 cm high. By day you can watch on a semi-high bushes and grasses in a watchful attitude often with open mandibles. 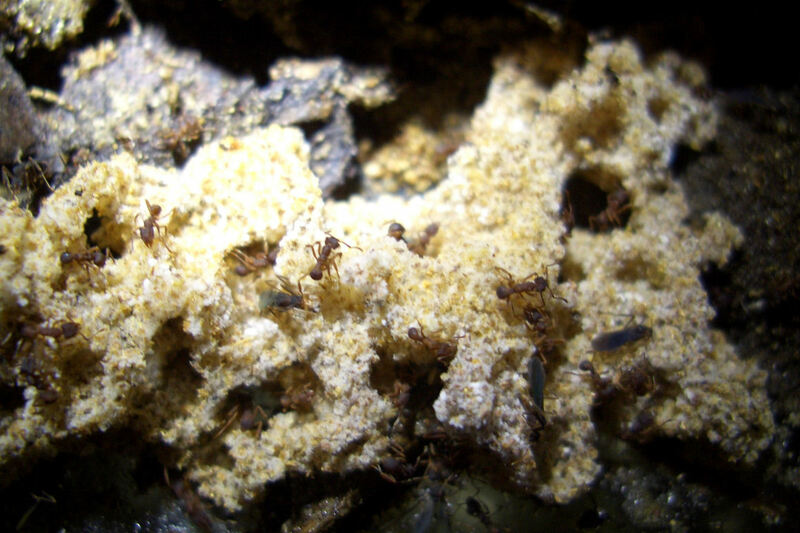 These ants are not suitable for keeping in community basins with other species. 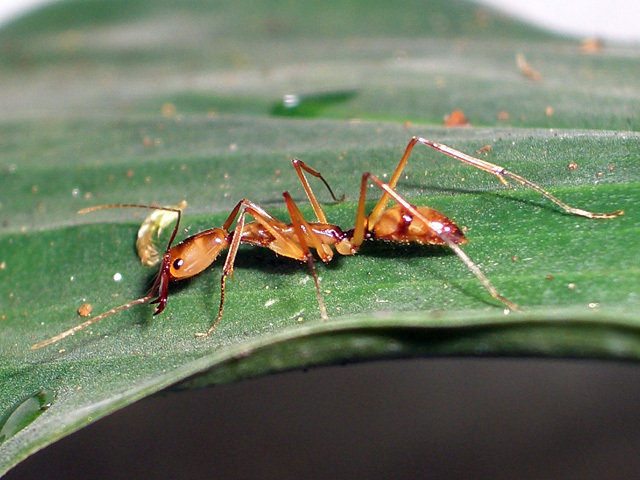 They are skilled hunters easily overwhelm other ants. This Ectatomma cf. tuberculatum species is ideal for keeping in a planted tropical terrarium. Ectatomma cf. tuberculatum was added to the shopping cart. Ectatomma cf. tuberculatum could not be added to the shopping cart. This Ponerine shows nice light reflextions on intense lighting. Ectatomma quadridens was added to the shopping cart. Ectatomma quadridens could not be added to the shopping cart. Lifestyle : A resident of the South American rainforest. Attitude : Ideally in a well planted tropical pool with rotten wood. 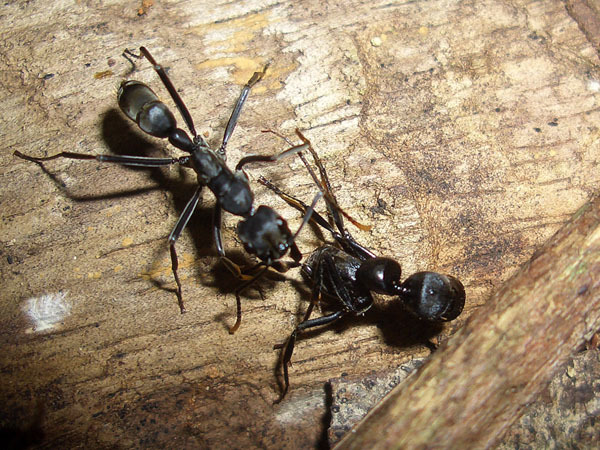 Here these ants exist predominantly in rotten wood. High humidity is vital for this ant. 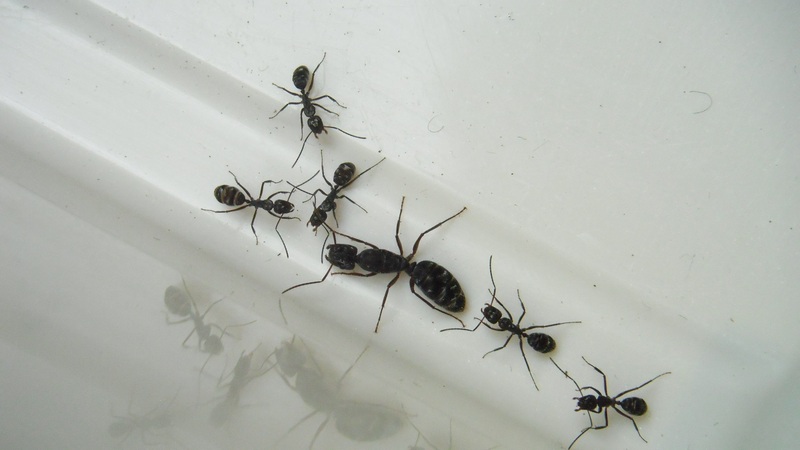 You have to have a fast recruitment behavior and by their chemical defenses, they can defend themselves against much larger and more aggressive ants. 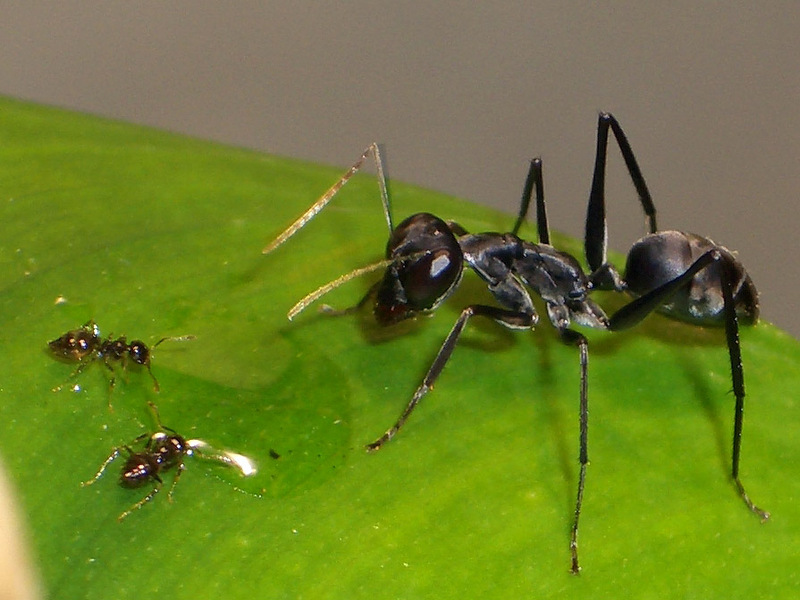 In the long run Megalomyrmex is spec. not recommended for a community tank. 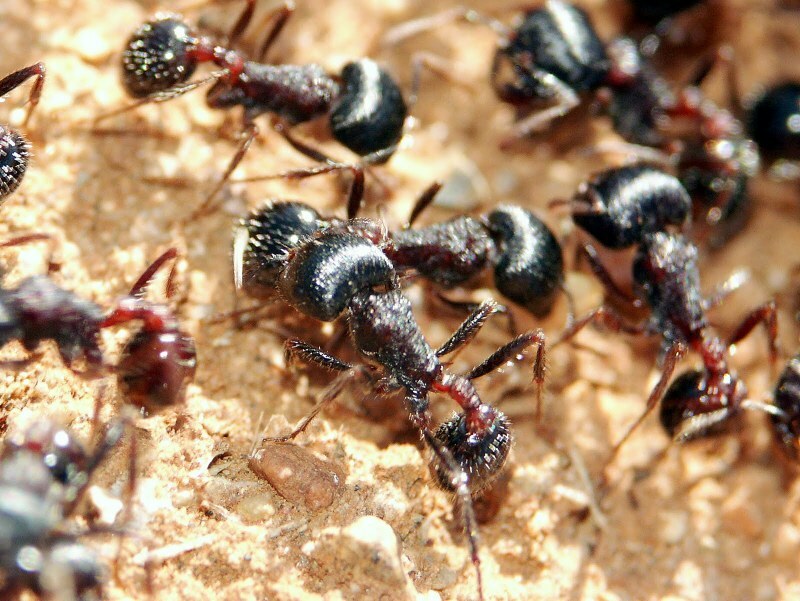 Through their strong chemical defenses expel them from the other ants feeding grounds. 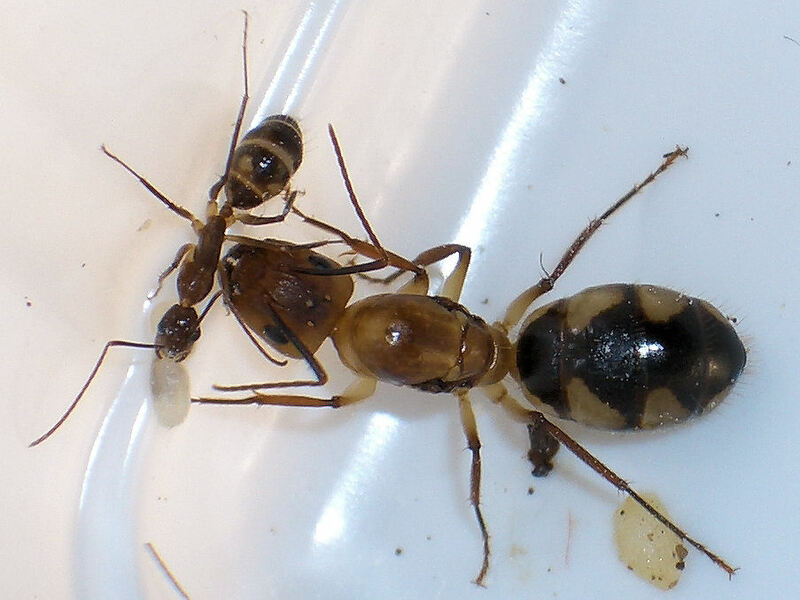 Megalomyrmex sp. was added to the shopping cart. 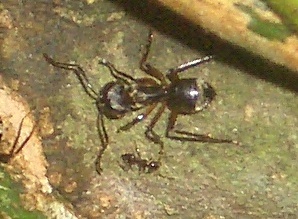 Megalomyrmex sp. could not be added to the shopping cart. Odontomachus cf. haematodus was added to the shopping cart. Odontomachus cf. haematodus could not be added to the shopping cart. Odontomachus chelifer is one of the world's largest Odontomachus species. 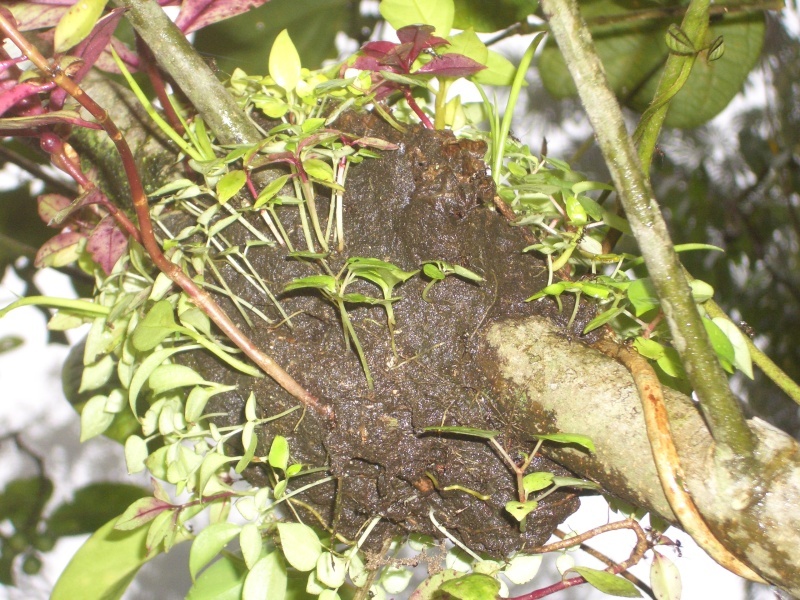 Nests are usually created directly in the soil or between the roots of trees. In established colonies the metallic shimmering individuals appear slightly polymorph with obvious difference in size. 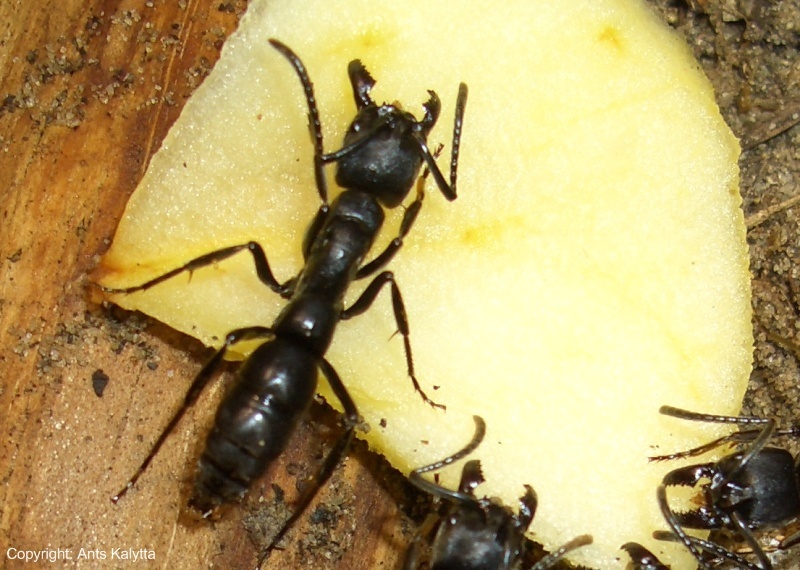 Larger workers reach a size of more than 2 cm. Attention: Shipping at winter time and outside Europe at customer's risk! Odontomachus chelifer was added to the shopping cart. Odontomachus chelifer could not be added to the shopping cart. 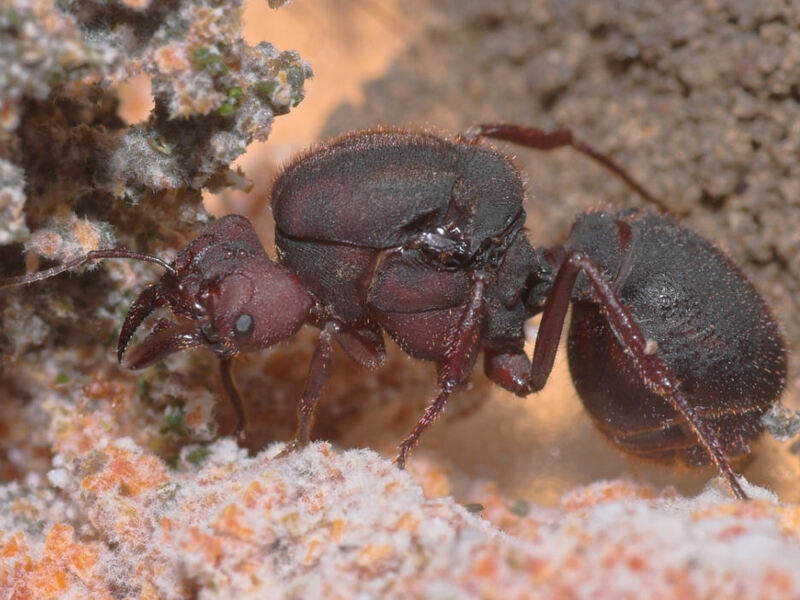 Odontomachus erythrocephalus is a remarkably colored species of trap-jaw ants nesting directly in soil or under objects like rotting wood. The red head and yellow legs are very prominent characteristics of this species besides it's highly aggressiv behavior. Odontomachus erythrocephalus was added to the shopping cart. Odontomachus erythrocephalus could not be added to the shopping cart. Very nice colored Odontomachus that commonly nests in the crow of trees between epiphytes. This species creates artistic nests in shape of a large sphere which is padded with moss and other small plant matter. Odontomachus hastatus was added to the shopping cart. Odontomachus hastatus could not be added to the shopping cart. 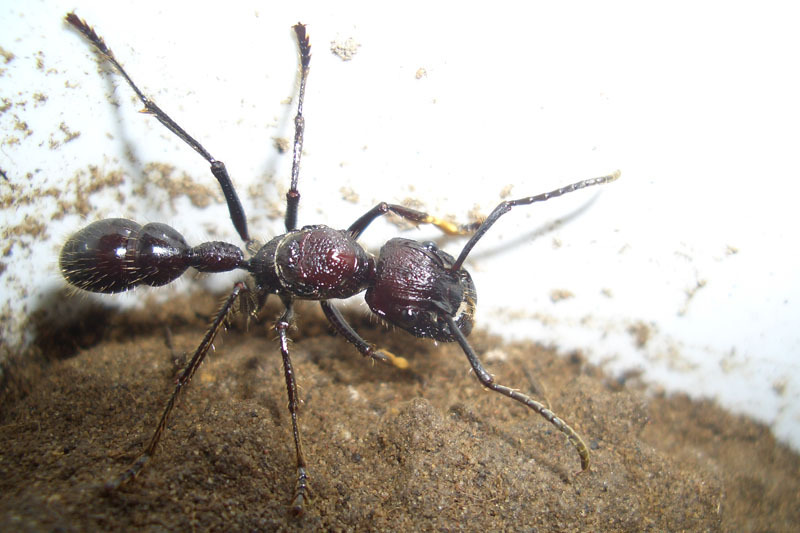 Big and long- legged antspecies that combines several preferences of other antspecies. 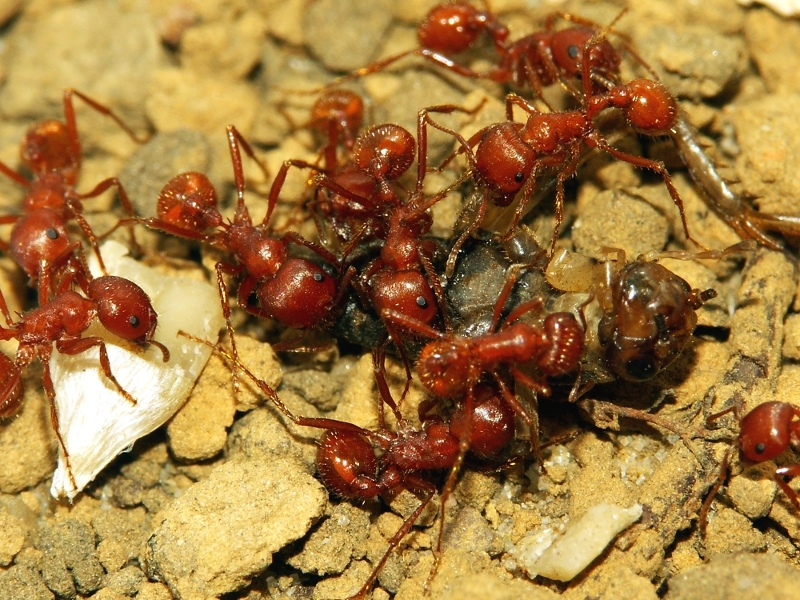 Pachycondyla apicalis have almost the same visual ability as Myrmecia (bulldogant), furthermore apicalis is highly adaptive (learns quick to accept food offered by hand) and is able to stridulate clearly hearable just as Paraponera and Atta.Unlike to most of the other antspecies apicalis do not depend on chemical traces because it predominantly navigate by the use of visual orientation.While transportation of prey back to the nest they use the alternative to jump off a twig and is stil able to find their way home after short reorientation (subjective study).This antspecies use the ability to lead conspecifics through tandem walks and do hunt single and also in packs.Pachycondyla apicalis is unique and not comparable with other Pachycondyla species. Pachycondyla apicalis was added to the shopping cart. Pachycondyla apicalis could not be added to the shopping cart. Pachycondyla cf. crenata was added to the shopping cart. Pachycondyla cf. crenata could not be added to the shopping cart. 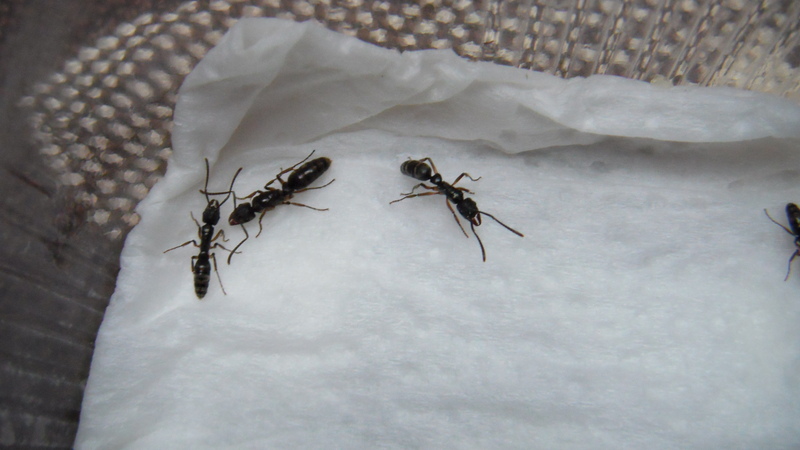 This medium sized ant spcies is predestinated for a planted tropical terrarium. It is a very active diurnal hunter. Socialization with other species is not recommended. Larger colonies are showing a strong aggressiveness. It is a nice counterpart to the famous Diacamma sp. Pachycondyla cf. verenae was added to the shopping cart. Pachycondyla cf. verenae could not be added to the shopping cart. Very compact and strong Ponerinae species, forages in groups, mostly on ground. This species almost can not climb glasses. Pachycondyla impressa was added to the shopping cart. Pachycondyla impressa could not be added to the shopping cart. A black-silvery shaded Pachycondyla species which comunicate very intensively. This species nests in dry tree branches and also in epiphytes like bromeliead. Colonies do not become too large compared to Pachycondyla apicalis for example. Pachycondyla villosa was added to the shopping cart. Pachycondyla villosa could not be added to the shopping cart. Paraponera clavata was added to the shopping cart. Paraponera clavata could not be added to the shopping cart. 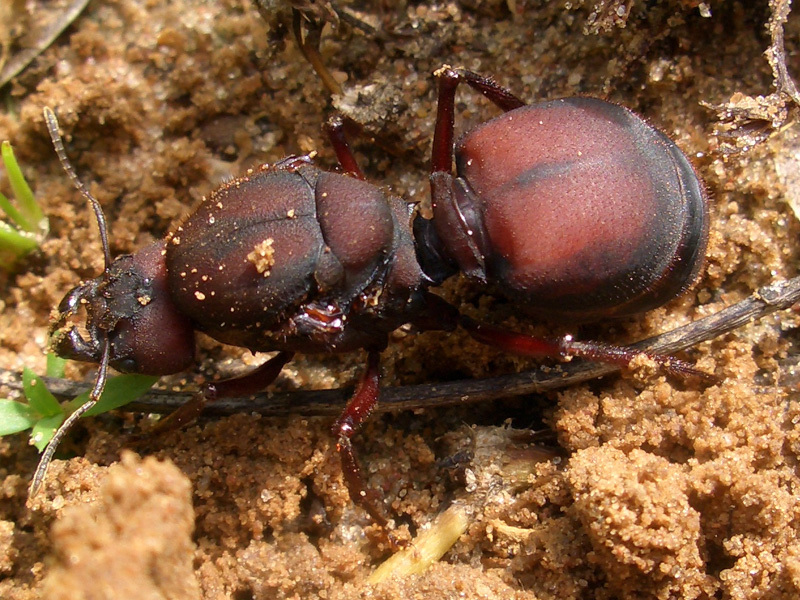 A North American harvester ant with a copper red color. 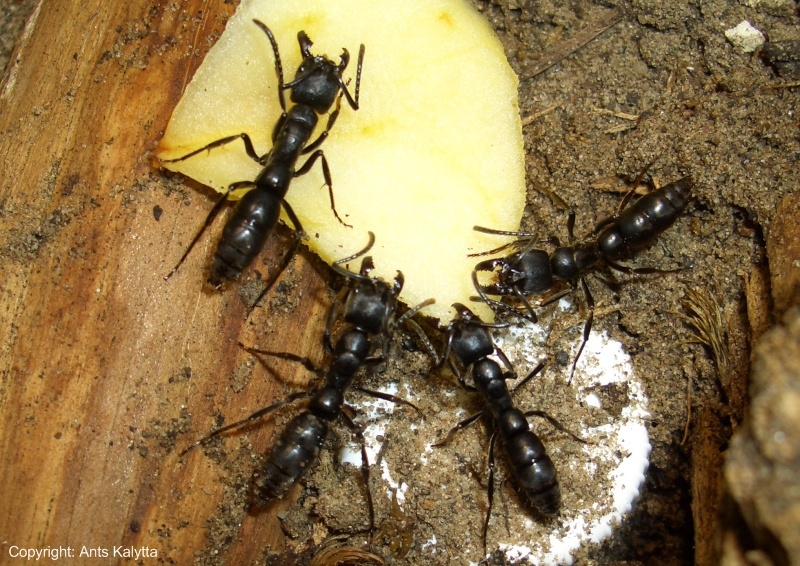 Pogonomyrmex species typically harvest seeds, which are stored as an additional food source. 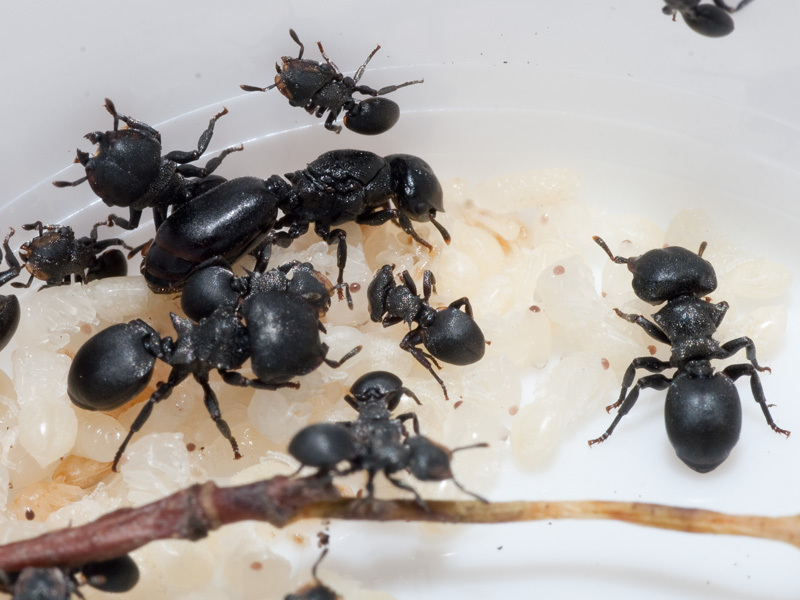 However, large amounts of insects are captured by colonies. 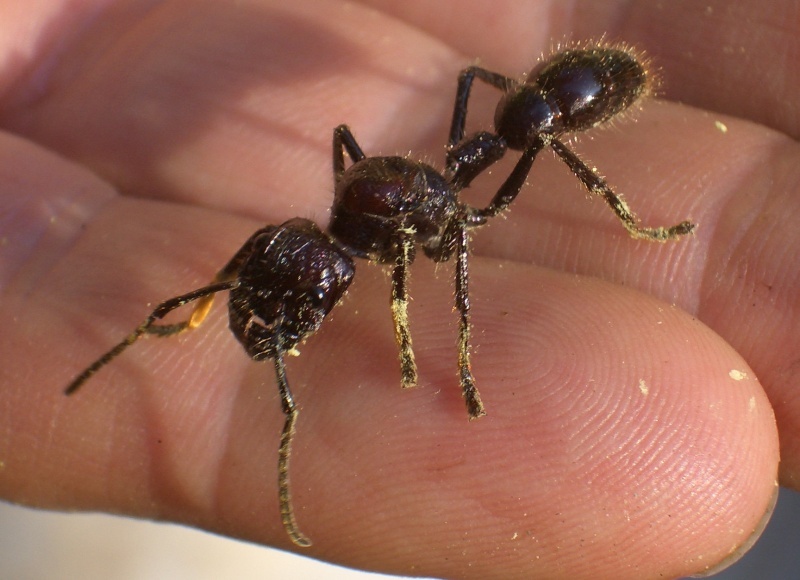 Untreated hand-picked plant seeds will be included with all Pogonomyrmex sold. 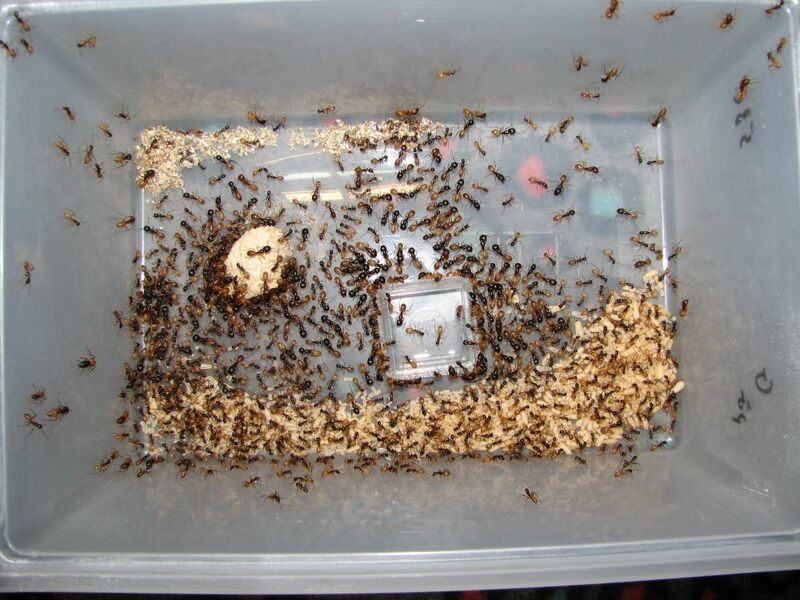 *1: Keeping this ants for 2-3 months around 20°C is recommended. 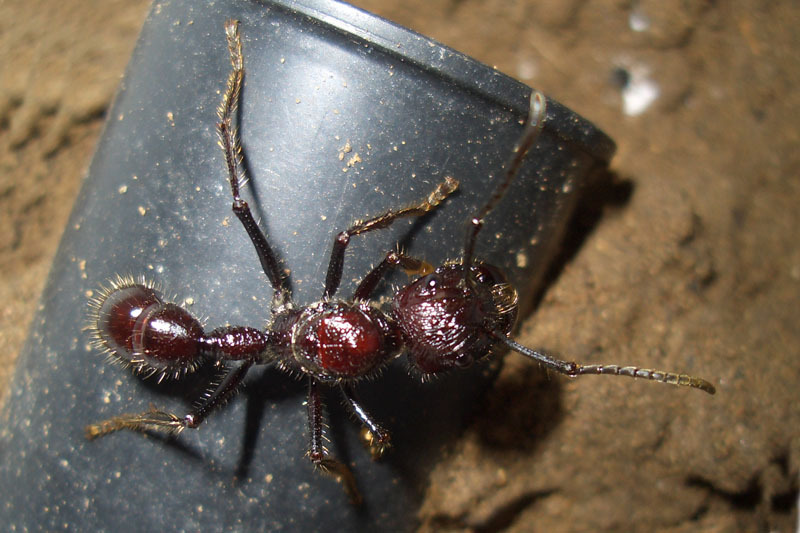 Pogonomyrmex barbatus was added to the shopping cart. 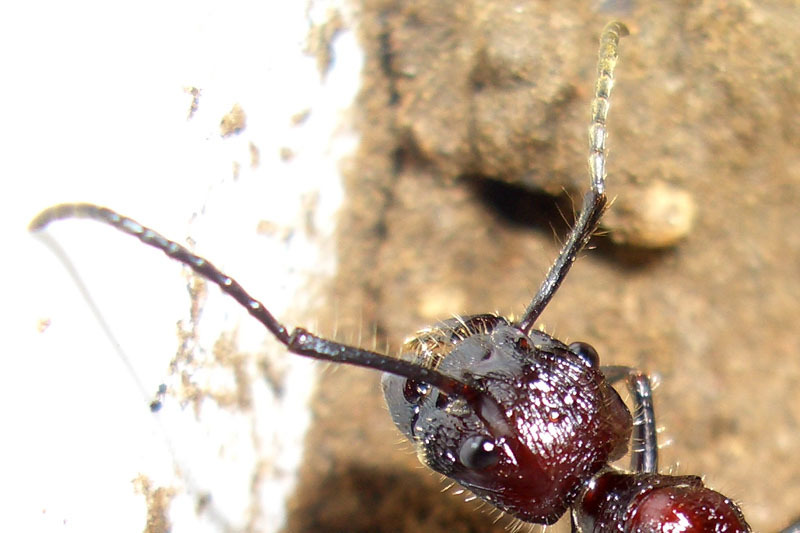 Pogonomyrmex barbatus could not be added to the shopping cart. 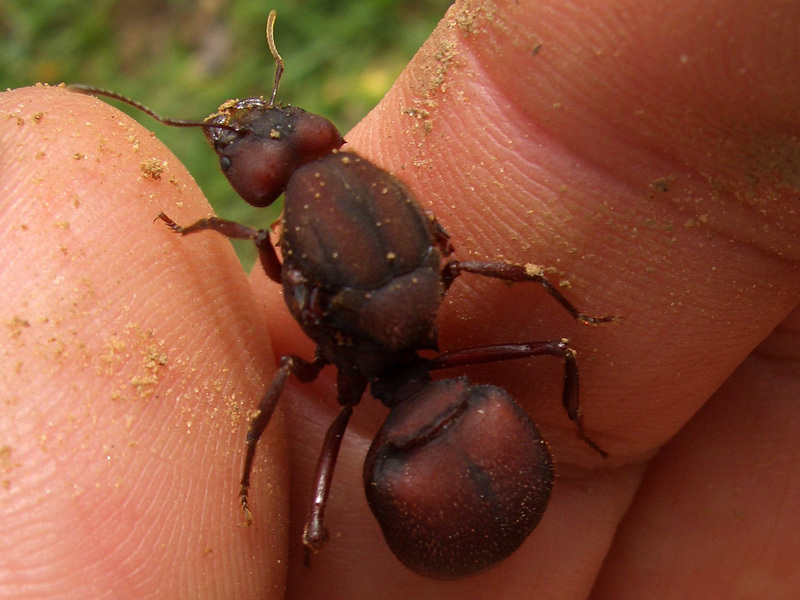 A beautiful North American harvester ant. The mainly black coloration appears shiny blue under light and also shows red highlights. 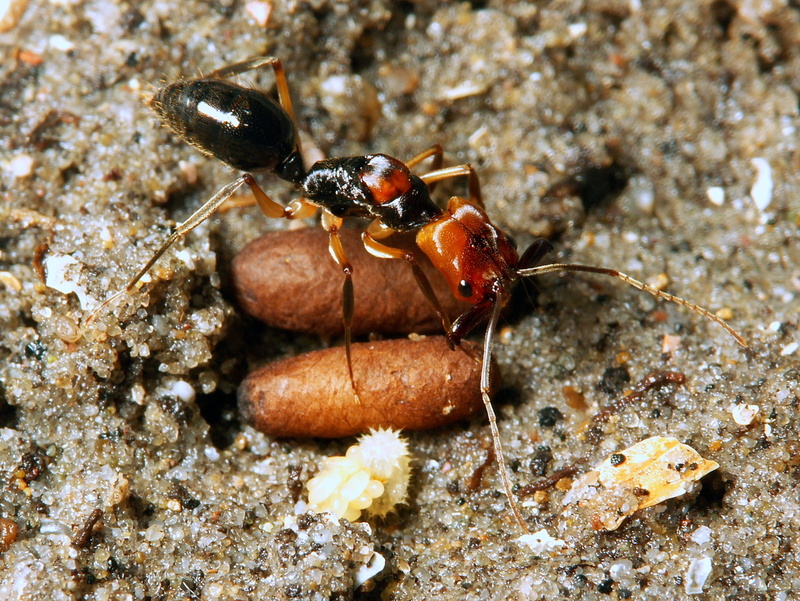 Pogonomyrmex species typically harvest seeds, which are stored as an additional food source. 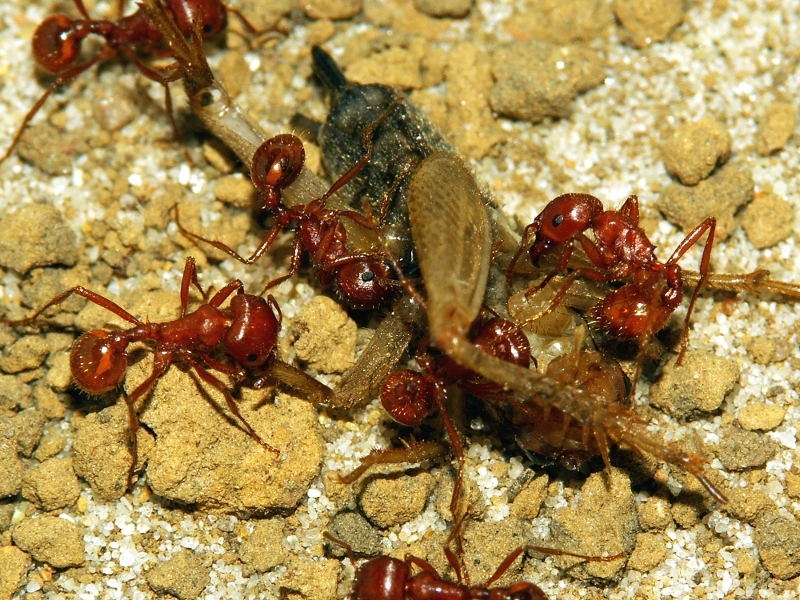 However, large amounts of insects are captured by colonies. 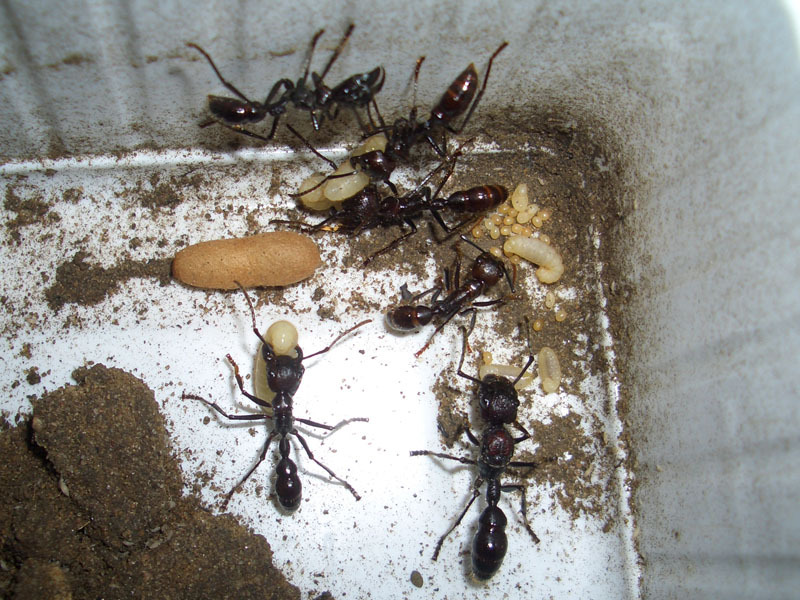 *1: Keeping this ants for 2-3 months at about 20°C is recommended. 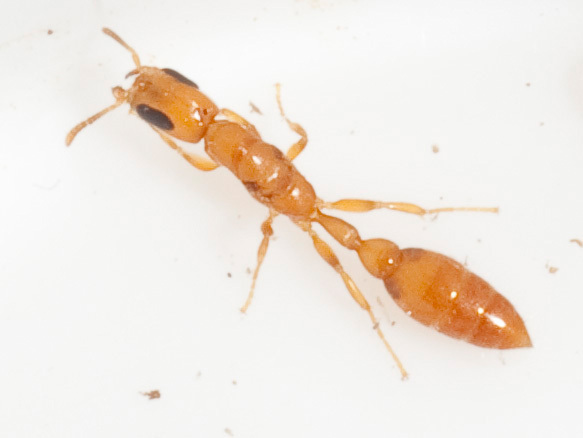 Pogonomyrmex rugosus was added to the shopping cart. 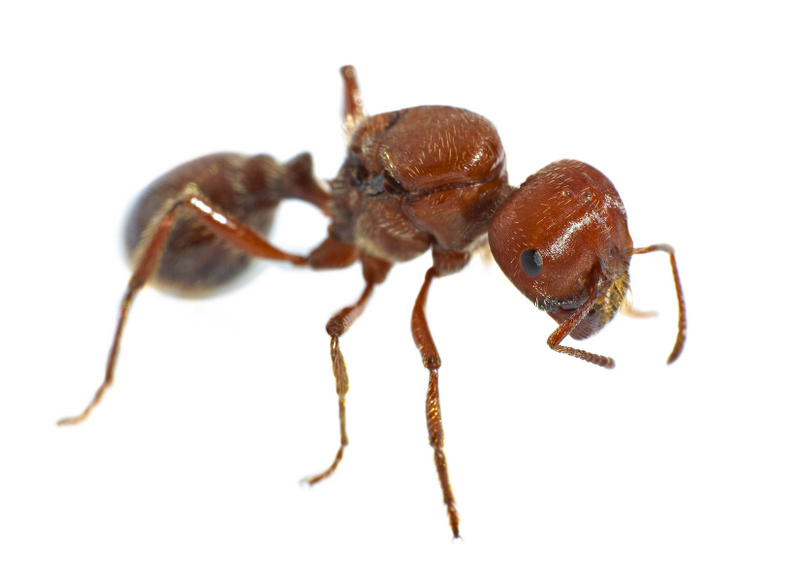 Pogonomyrmex rugosus could not be added to the shopping cart. This is a small but noticeable Pseudomyrmecinae from North America, which sticks out because of her yellow color and special living. This species lives in hollow stems of small plants and bushes. 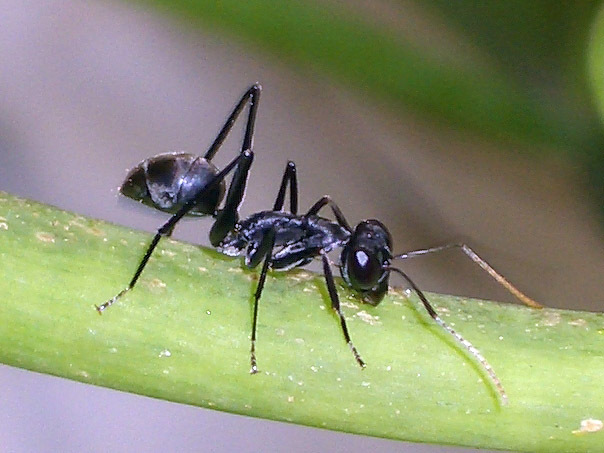 A noticeable characteristic is the fast and jerkily movement of the ants and also the disproportional large black eyes. 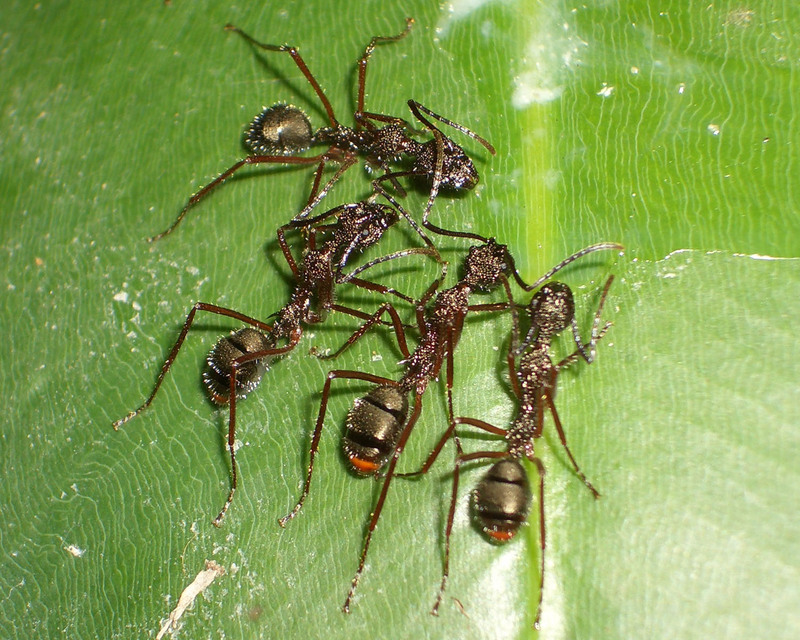 Pseudomyrmex cf. pallidus was added to the shopping cart. 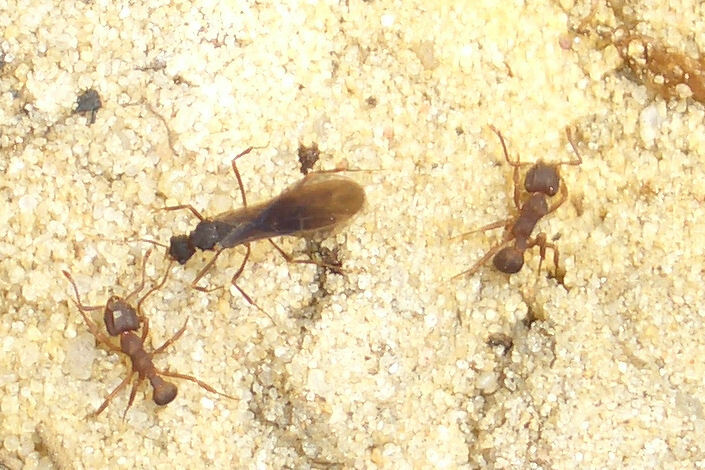 Pseudomyrmex cf. pallidus could not be added to the shopping cart. 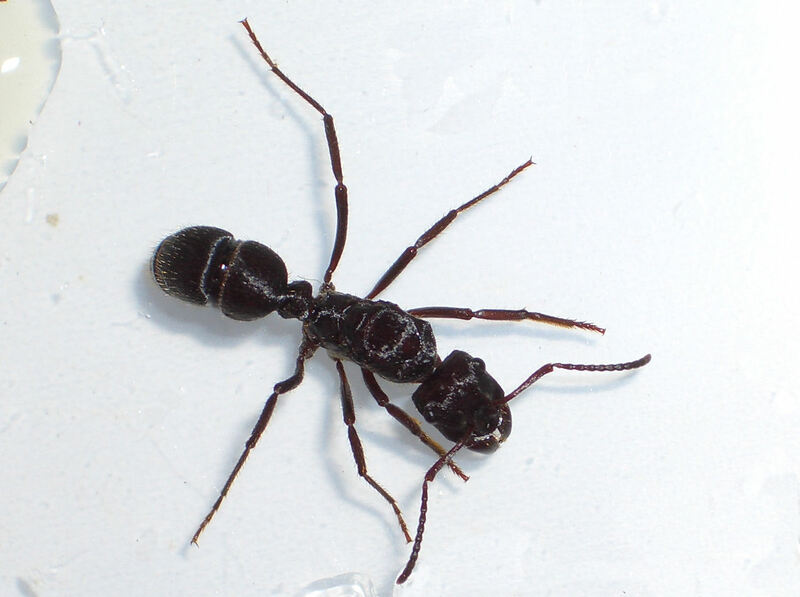 Pseudomyrmex gracilis occurs well into the tropical part of South America in the southern part of North America, central America. You will be shown at various of colors and sizes. This large Pseudomyrmecinae inhabited hollow branches. In the position, you can use dry branches of blackberries or raspberries, scrape out the marrow of animals to build their nest. All branches must be able to dry after irrigation so as not to molds. 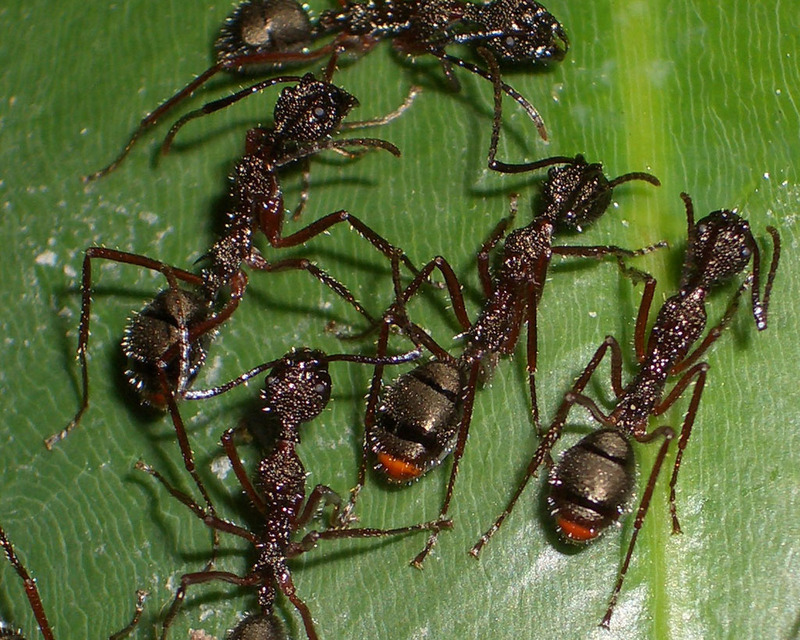 The species can be well socialized, other ants they nimbly dodges. You can see very well and react to slight movements in the visual field. 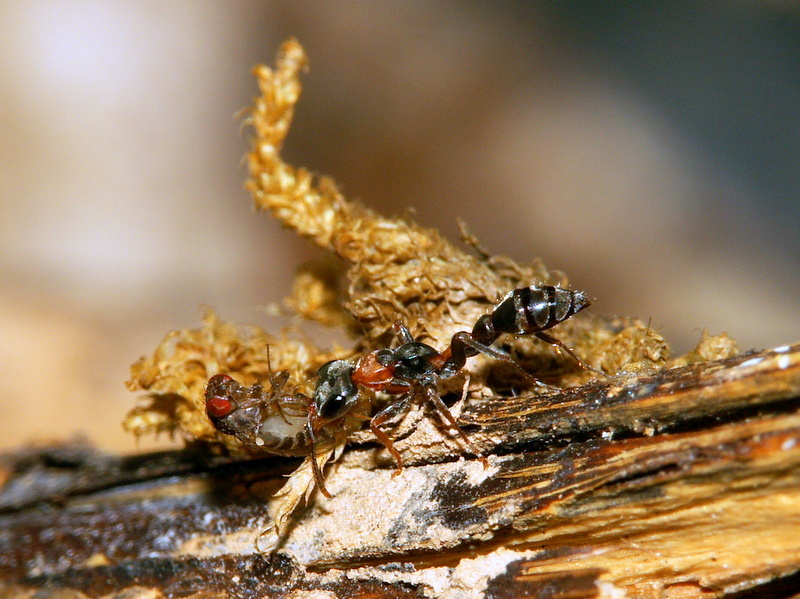 Your wasp-like appearance and rapid jerky movements are an exception for arboreal ants. 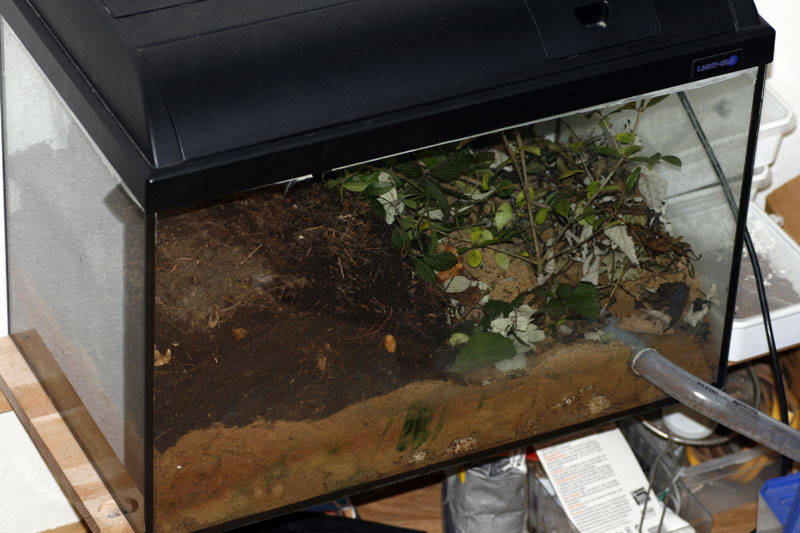 The animals are very active and four operate continuously during the day, you should offer them a large terrarium with lots of plants. 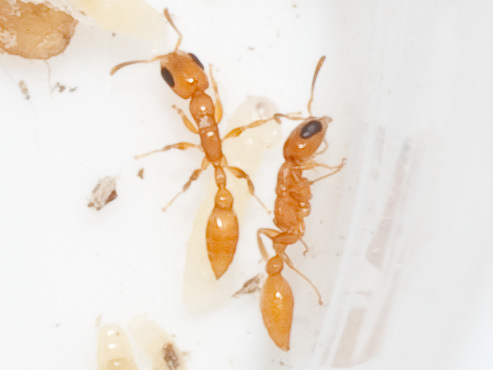 Pseudomyrmex gracilis was added to the shopping cart. 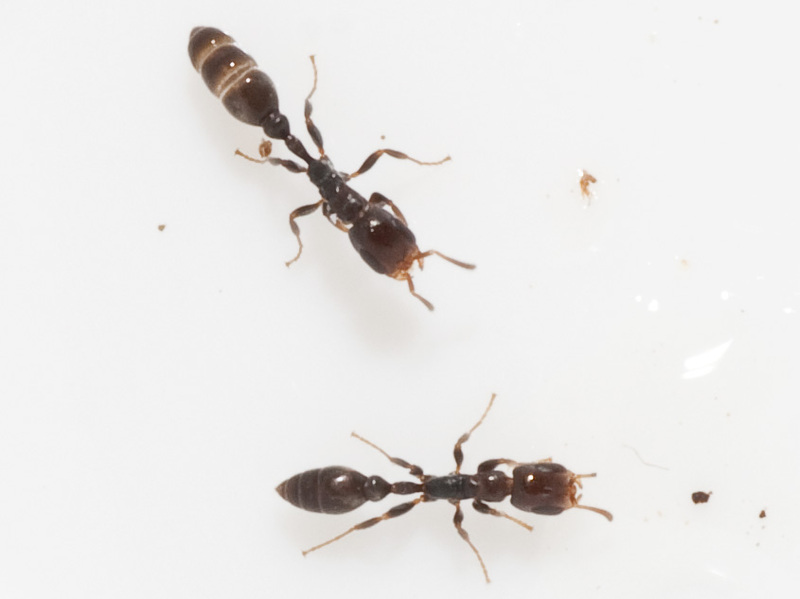 Pseudomyrmex gracilis could not be added to the shopping cart. 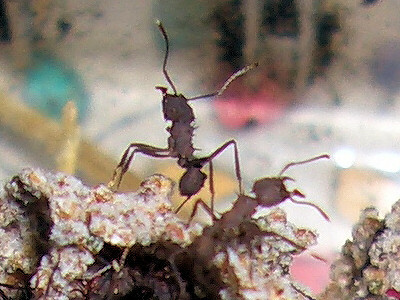 Pseudomyrmex sp. was added to the shopping cart. 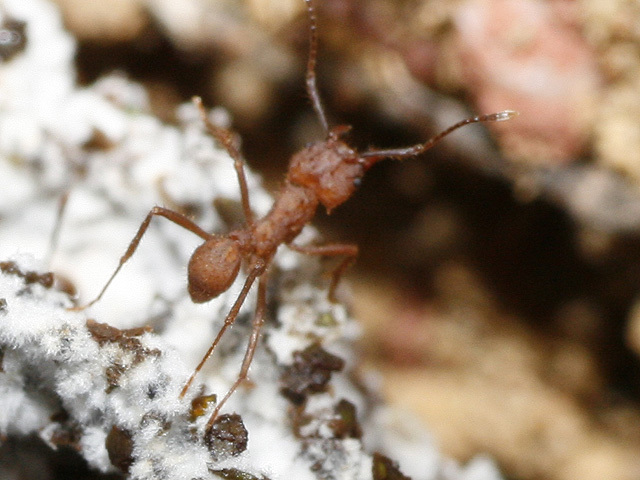 Pseudomyrmex sp. could not be added to the shopping cart.